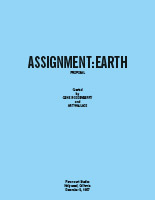 Welcome to the web's only complete reference to Assignment: Earth (Æ). 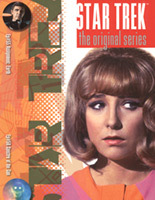 This episode of the original Star Trek was intended to spin off into a series of its own. Thanks to everyone who has written in. Your comments are always appreciated. This site first appeared on the net in 1998 – this is the seventh major revision – and its growth is due, in part, to those people who wrote in and said, "Hey, did you know…?" Well, no, no I didn't, but now I do, and thanks for your help. If you have info, please feel free to @ me. 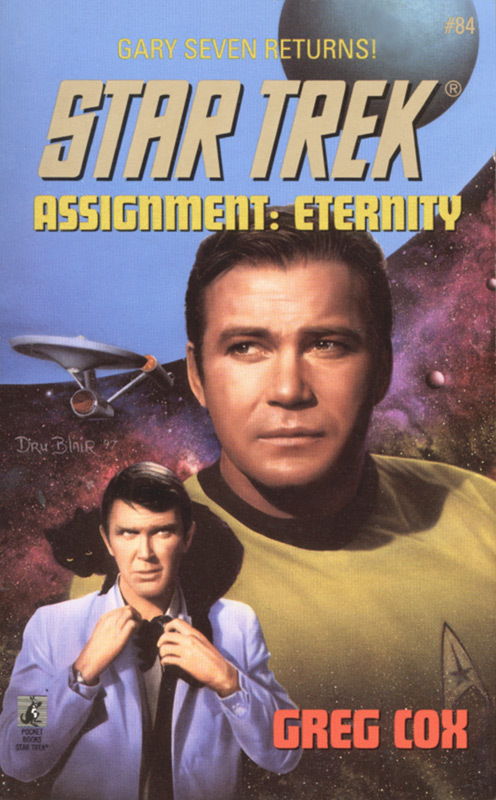 Gene Roddenberry developed the first version of Æ as he worked on Star Trek's first season, and pitched it to Desilu in a 47-page script. 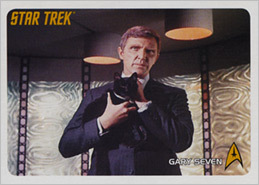 Gary Seven is a man sent back in time from the 24th century, the only Earth man to ever survive the transit. His goal is to defeat the Omegans, a race of shape-changing aliens who have sent agents back in time to change Earth's history so they can defeat Earth in the future. 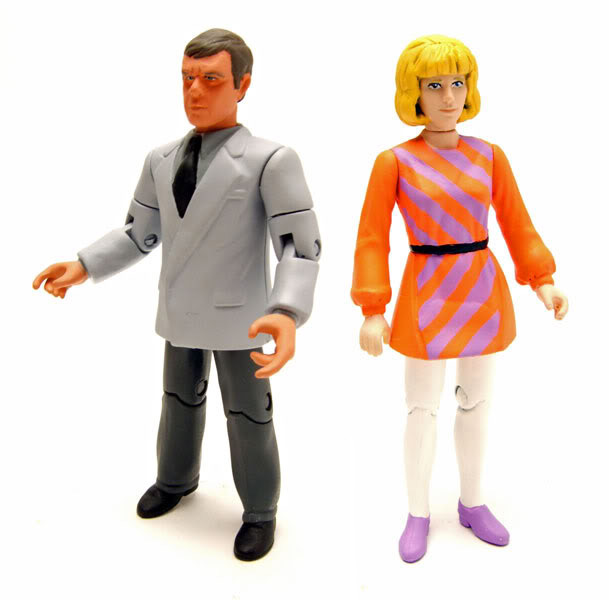 Harth and Isis would be the primary Omegan antagonists. 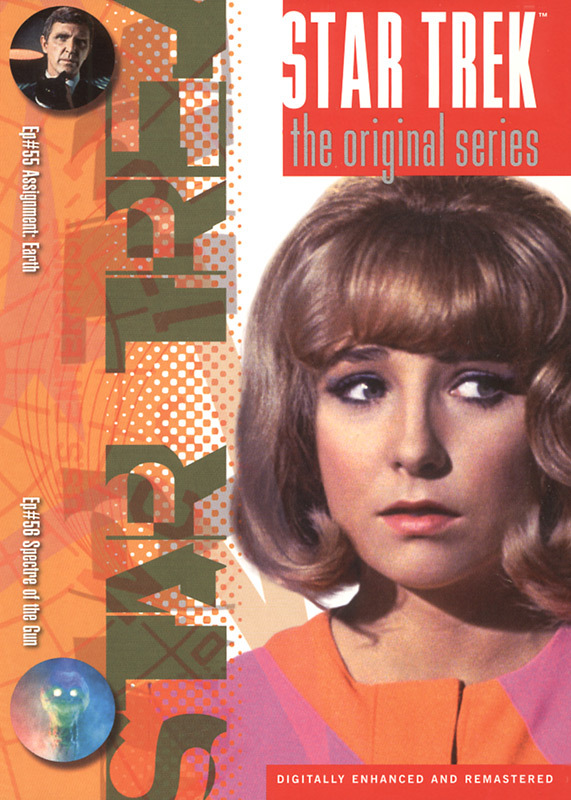 Roberta Hornblower is described as she appeared in the final episode, but as a 20 year old. 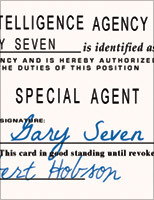 Seven's cover in the 1960s is The -7- Agency, a private investigations firm. 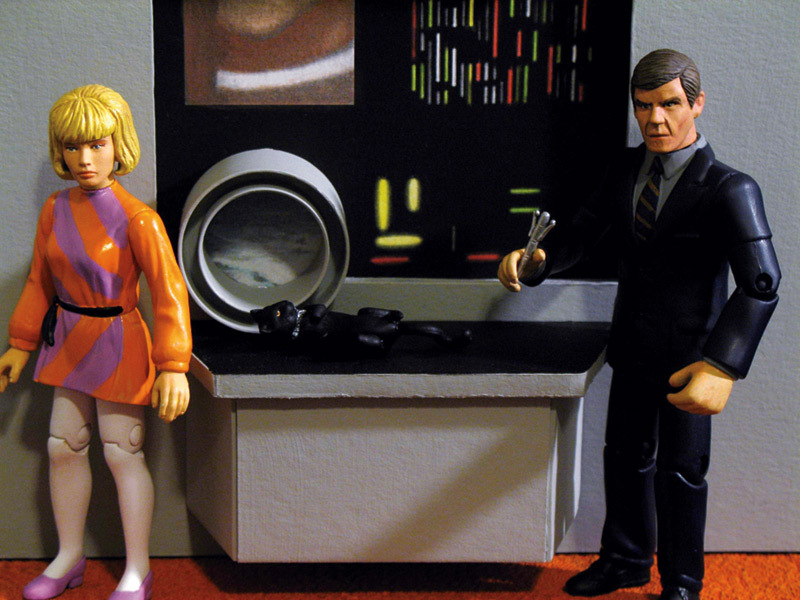 We meet Roberta as she enters the office looking for Mister Seven. 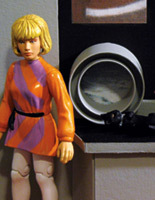 The gadgets from the final episode are here, including the servo, and a pair of working x-ray glasses. She sits down at the typewriter to leave him a note. Roberta had nearly been killed by a falling chunk of a building, and had been pushed out of the way by a woman who instead died. 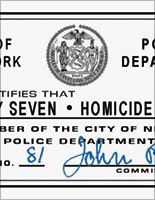 The woman looked very much like her, and Roberta found Seven's address on her body. 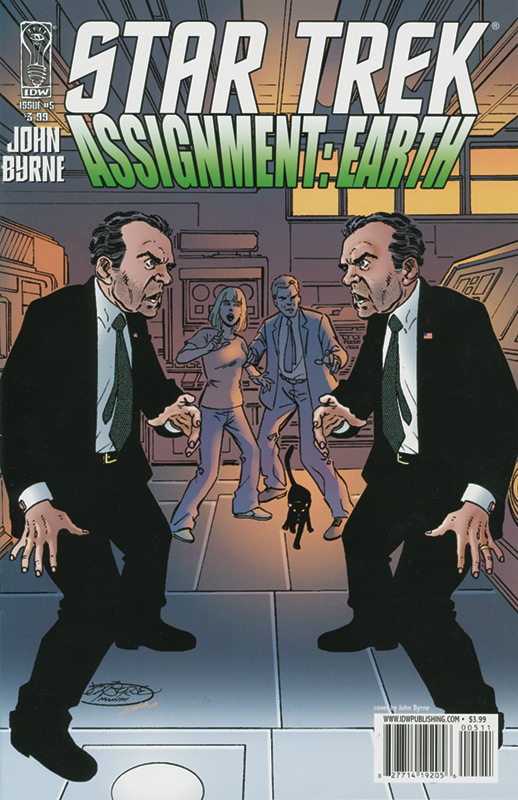 Seven and Roberta meet and come into conflict with Isis and Harth, setting up the series' premise. 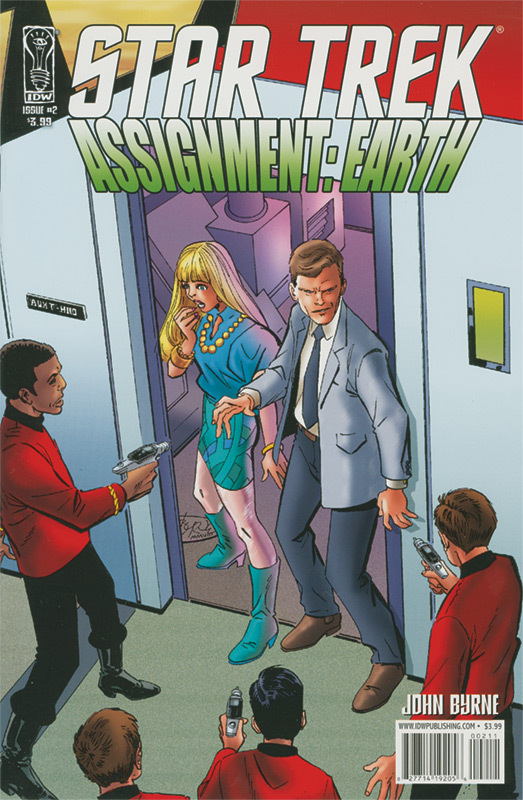 After their initial adventure together involving going back in time to reset a mishap and Roberta transporting instantly around to different locations, Seven tells Roberta he needs an assistant. 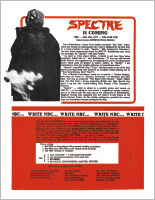 While developing the script, they also generated a 13-page series proposal. 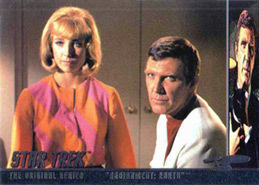 Now conceived of as a Star Trek spin-off pilot, the new Æ had Roddenberry and Wallace selling themselves as individuals respected in the business who were teaming up for the series. 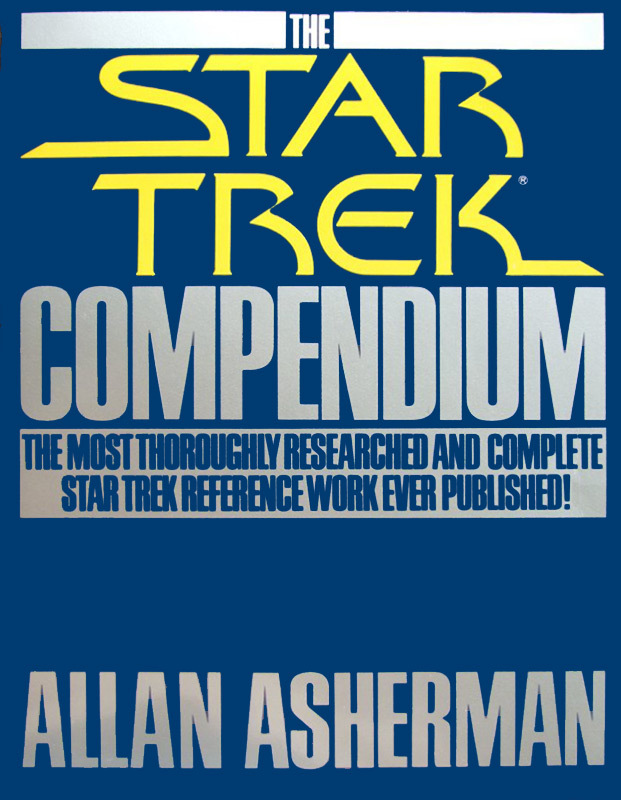 They made the clear distinction that while futuristic like Trek, Æ would be set against modern-day 1968. 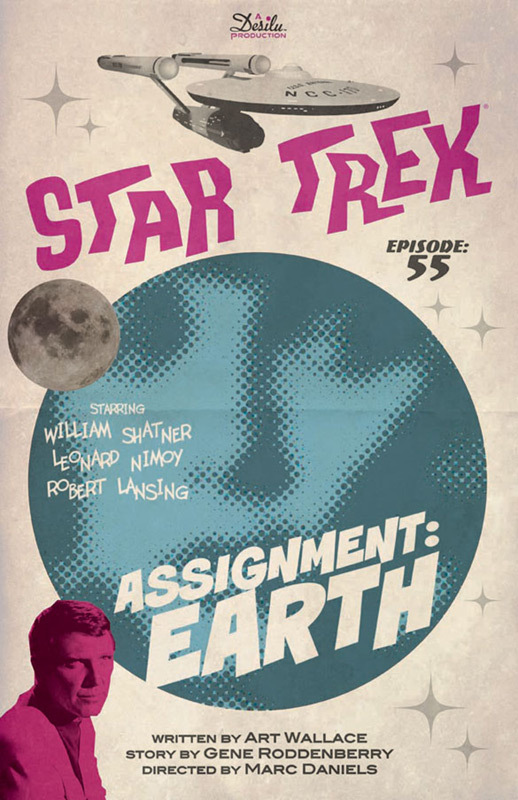 One of Roddenberry's strengths and benefits was to go to specialised individuals and organisations (like NASA) and ask them, "What if?" By going outside entertainment circles, he gave his work a depth and credibility that became a model for a better-informed process. Some of the connecting-the-dots promotion of the series' ideas to already known commercial quantities is a bit funny to read now. Having done enough creative briefs and seeing the tell-tale signs in this proposal, I get the feeling studio execs have the same thought processes as other businessmen. 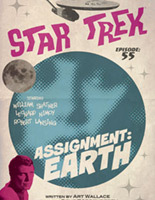 "Assignment: Earth is interesting in a sense," Wallace points out, "because I had gone to Paramount and pitched a series idea to them. 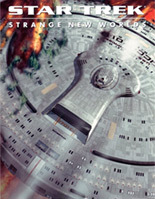 They had said that Gene Roddenberry had come up with a very similar idea. So I saw Gene and we decided to pool the idea, which was about a man from tomorrow who takes care of the present on Earth. 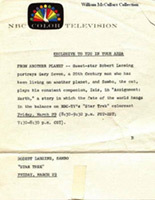 That was intended to be the pilot, although it was never made into a series. 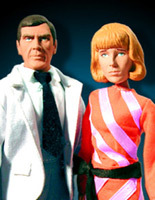 It was a good pilot and it's a shame, because I think if they had done it as a series with just Gary Seven, it would have been a very successful show." 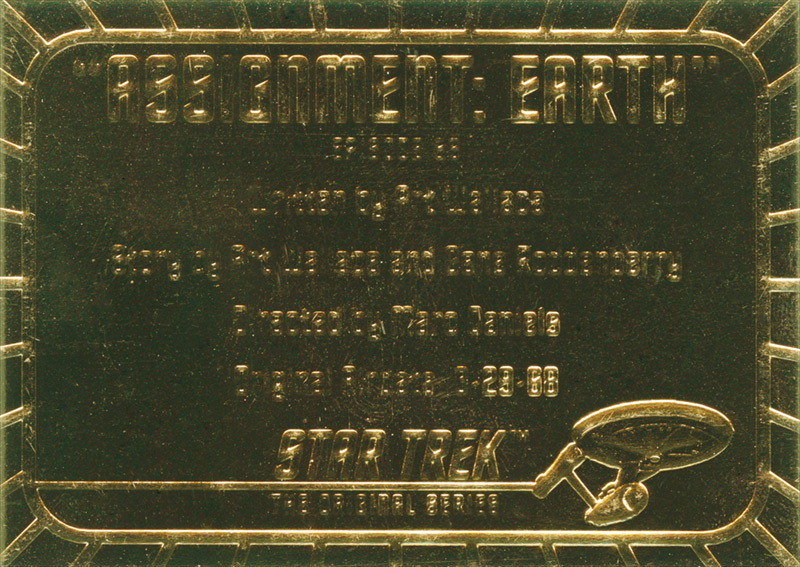 Source: Captain's Logs: The Unauthorized Complete Trek Voyages. 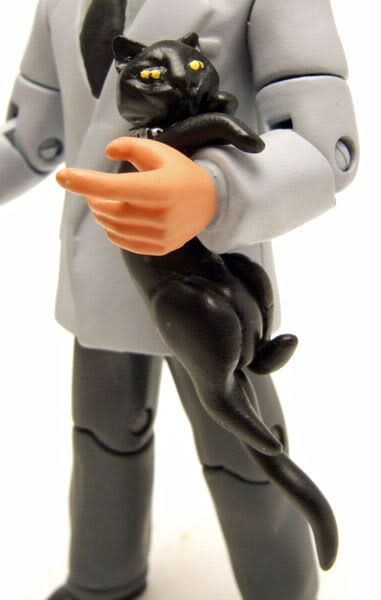 No black cat! 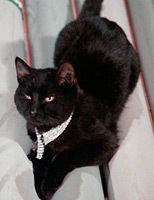 Isis – either human or feline – is nowhere to be seen. 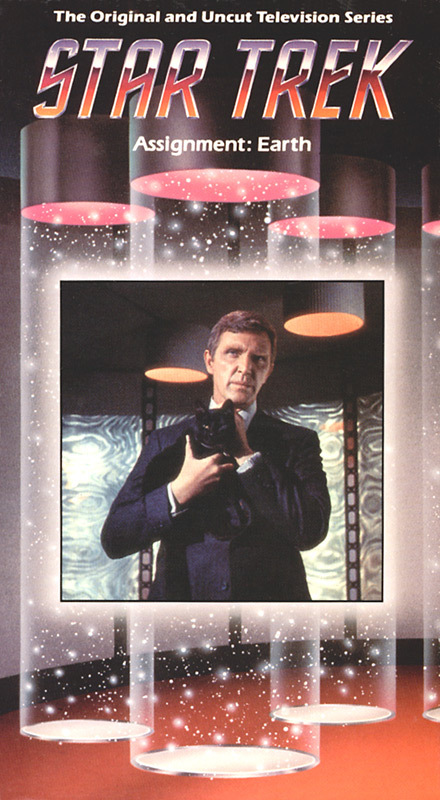 Gary Seven's transporter beam came from even farther across the galaxy than it did in the episode. 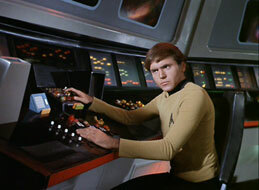 After Seven was confined in the Enterprise brig, he revealed his mission to Dr. McCoy, turning the tables on Bones by asking him to think like a doctor, not a mechanic. Roberta London, recruited by Mr. 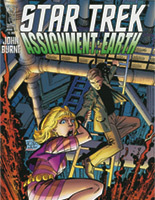 Seven, was beamed up to the Enterprise for interrogation. 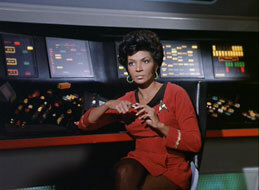 The frightened Roberta was soothed by Uhura, who reassured her that she was still among Earth people. About 30–50 per cent of the Seven-Lincoln-Isis story is not developed yet. 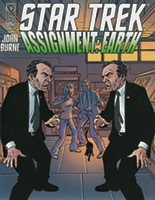 It feels much more like a Trek episode with Seven and Lincoln as guest stars, instead of the back-door pilot it became. 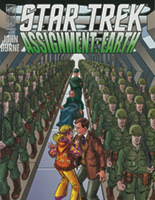 A lot of re-writing was done over the holidays by Art Wallace to deliver the episode we know. 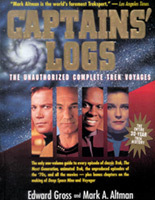 The supplemental Captain's log which immediately follows Seven's capture where Kirk describes "A man in a 20th-century business suit. What is he? 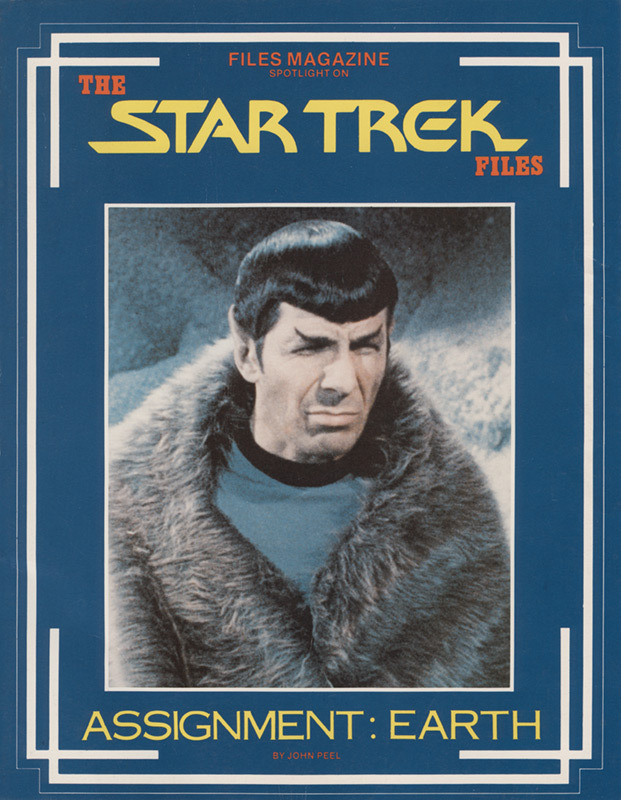 Not even Spock's…etc." 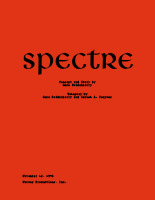 was not in this script. 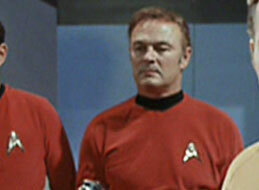 McCoy was to enter the briefing room scene earlier, with Kirk showing impatience with him to report. Seven: Computer, how much longer? Beta 5: Useless questions will only prolong search. 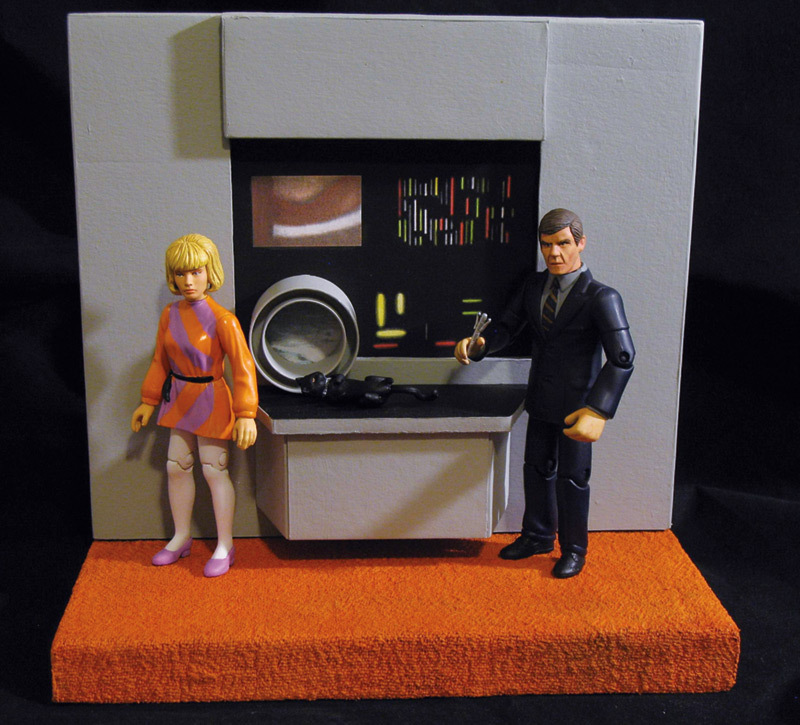 Seven: Are you a one-relay machine? 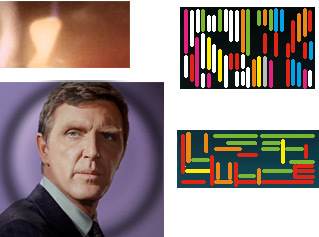 Clear a circuit; describe present mission of agents 201 and 347. 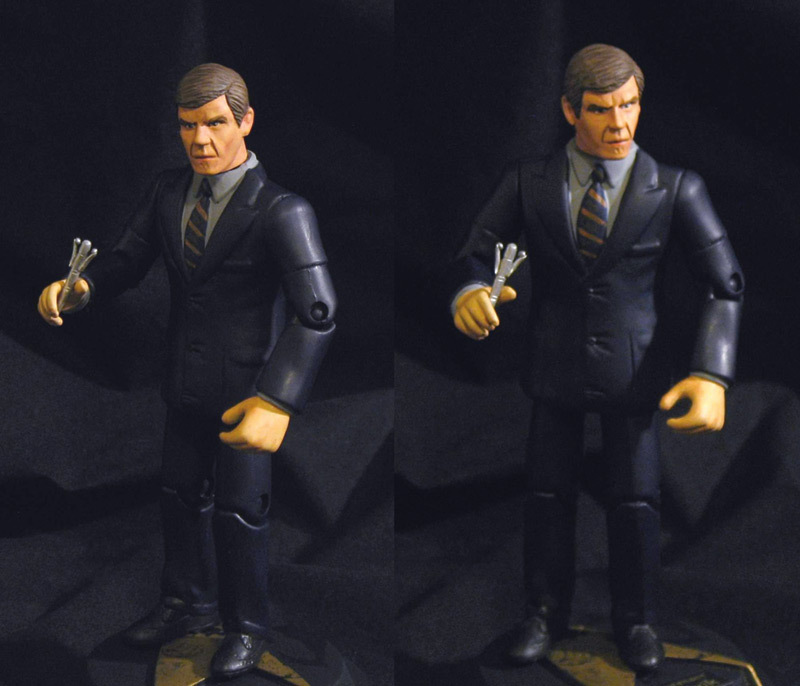 Seven: Balance of power won't work. 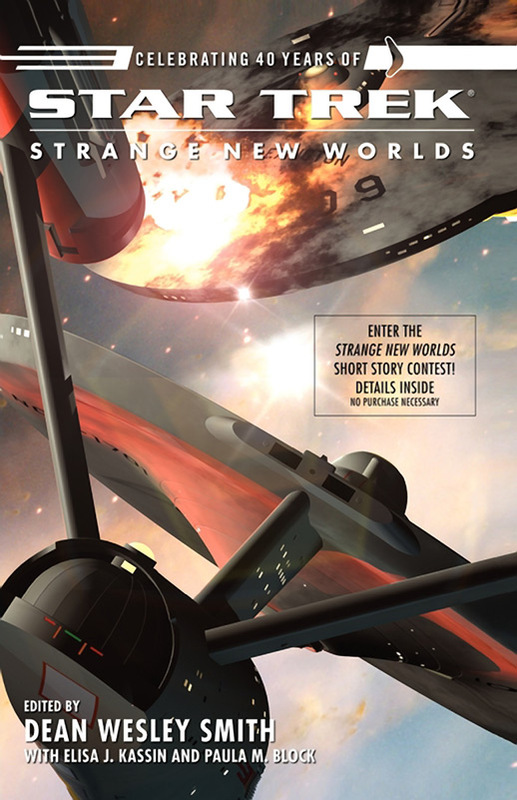 The other side will launch still more, they'll end up with the sky full of H-bombs waiting for just one mistake. 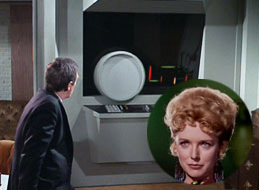 The scene where we first see Roberta Lincoln was scripted to include Kirk and Spock in the background, following her. 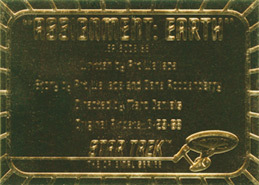 In the episode we see Roberta make a comedic entrance, and Kirk and Spock travel the same sidewalk a few minutes later. 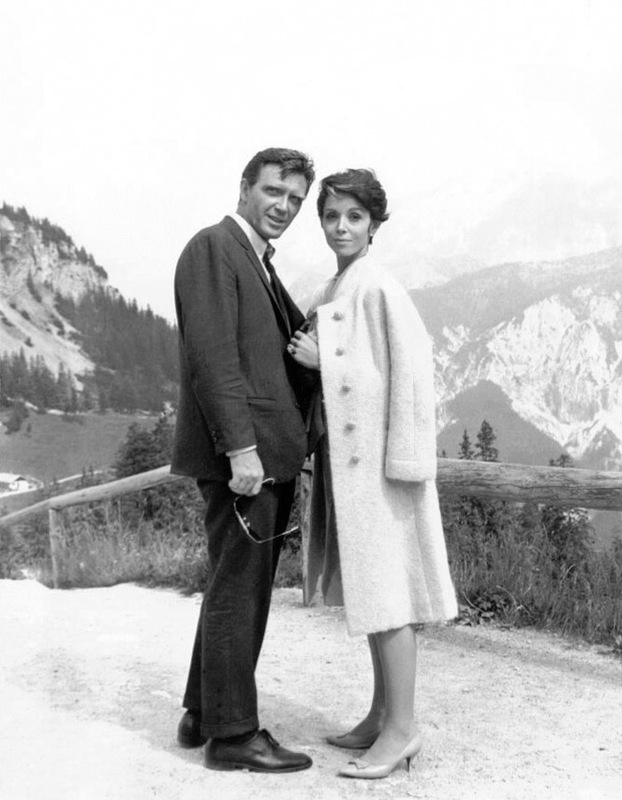 When Seven poses as a CIA agent to Roberta, some of the dialogue was softened to make it a more friendly exchange. 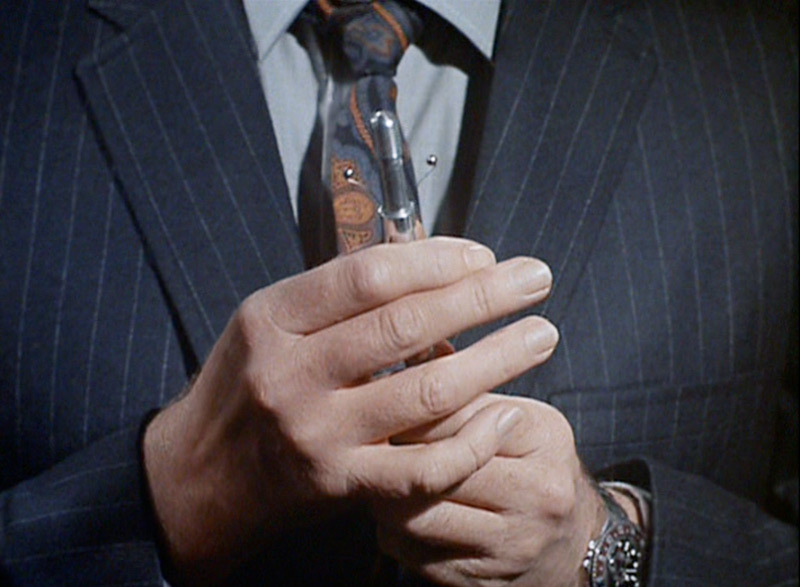 Originally, it was to be more combative, as it was in the first part of this scene. 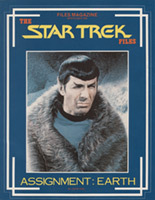 After Seven transports out from his vault, the scene with Kirk, Spock and Roberta has been restructured. 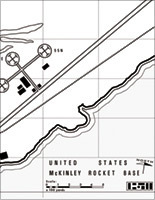 The three were scripted to come into Seven's private office together, they weren't aware of the vault transporter, and it was Spock who found the map of McKinley Base. 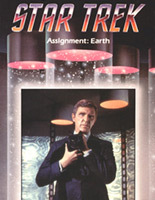 In the episode, Kirk rushes into the office alone, sees the vault close before he can reach it, and brings the map back out to Spock and Roberta in the outer office. 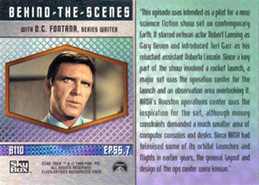 During the scene with Sergeant Lipton phoning in the security check on Seven, Isis was scripted to be following Seven. 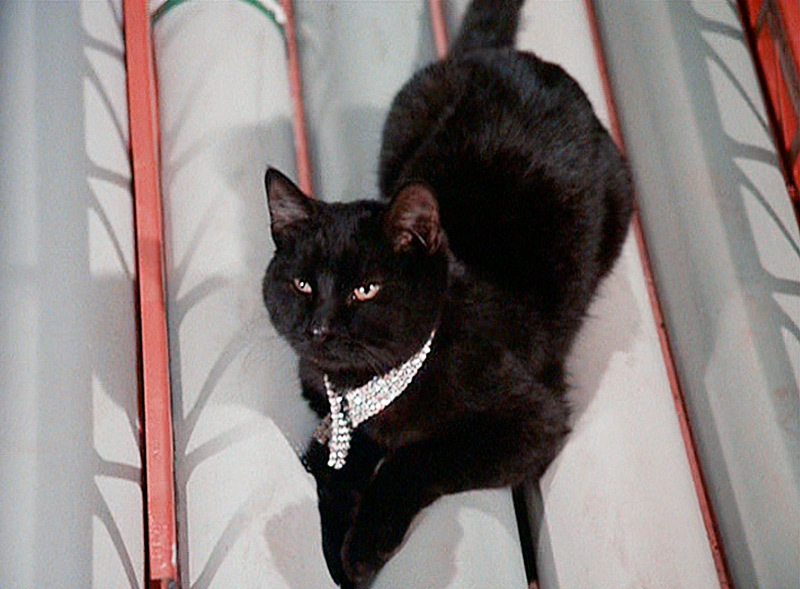 Knowing cats, this was most likely impossible to accomplish on set, and so Seven carried Isis and the unscripted line for Seven to put down the cat was necessary to have her under foot to finish the scene as written. 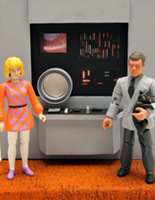 Seven and Isis on the gantry arm is unscripted, though what they're doing is detailed. 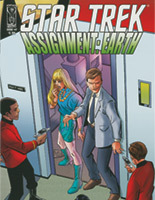 As written, Seven and Isis walk out of the elevator in one scene, and in the next Seven is removing the panel. 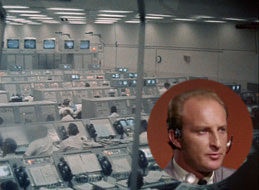 Perhaps Wallace did not describe the exact environment because he knew that it would depend on matching the stock footage supplied by NASA with the sets that Desilu would build in response, and that happened after the scripting process was completed. 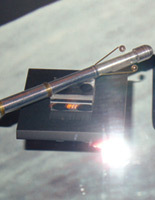 The cigar box Roberta uses to konk Seven in the back of the head was originally scripted to be a heavy art object. Given Teri Garr whacked Robert Lansing with the small padded box hard enough for the actor to see stars, it's probably just as well. 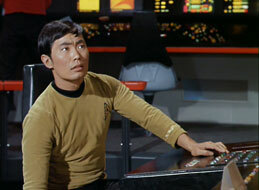 The call from Scotty to Kirk about all powers being on alert was scripted for Spock earlier in the scene. 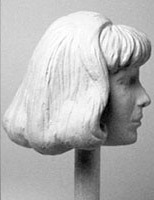 Roberta was to lower the servo on her own, rather than having Seven intervene. 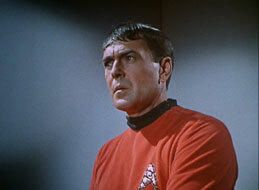 As shot, the scene works better, building trust between Seven and Kirk. 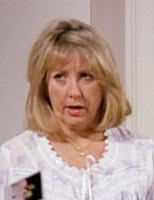 Roberta: A woman feels things about a man. 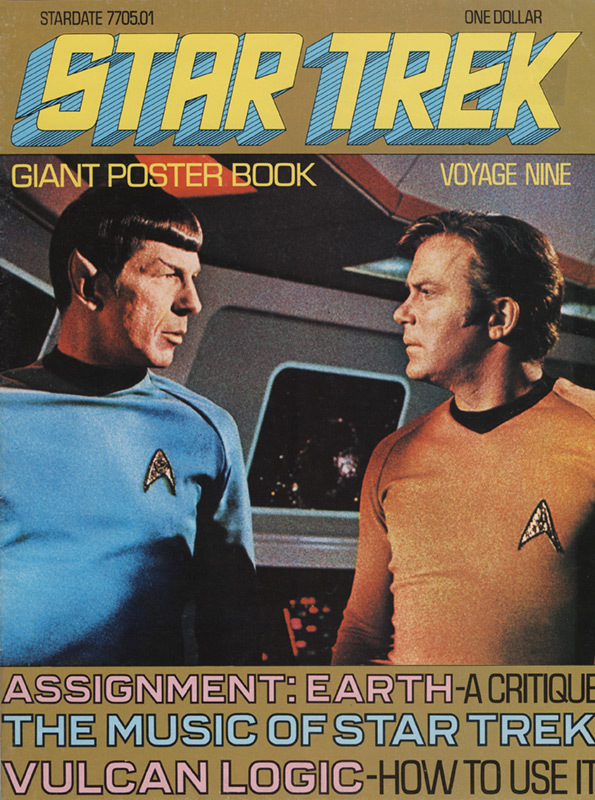 Spock: A point against him, Captain. They are usually 100 per cent wrong. 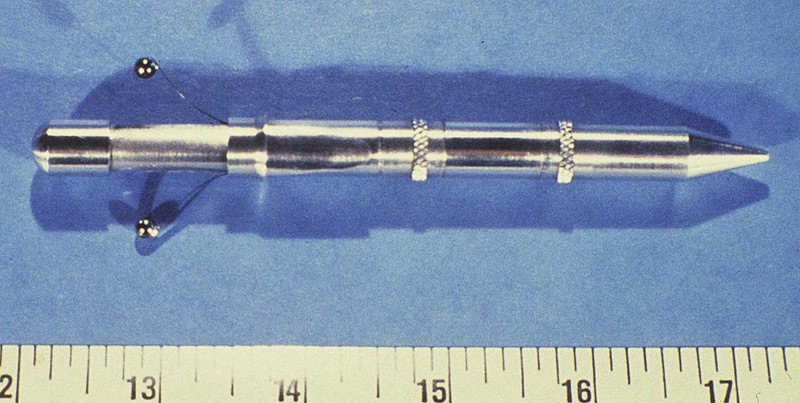 Probably a good idea to have excised all that. 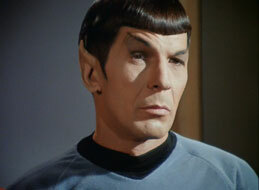 Kirk (agony): Spock, it's all mankind at stake. No man should have to make this decision. 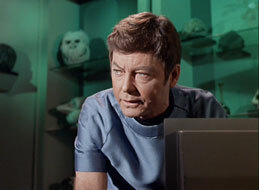 Kirk (glancing at Roberta): One other thing is needed to maintain history as it is supposed to go, Mr. 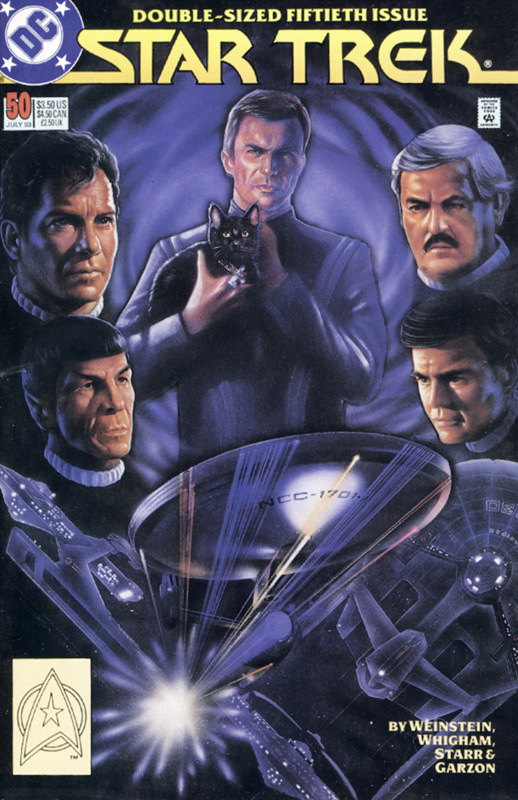 Seven. A permanent secretary. 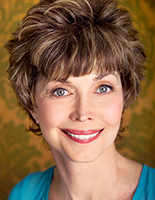 (indicates) Our historical records indicate that one Roberta Lincoln resided at this address many years. 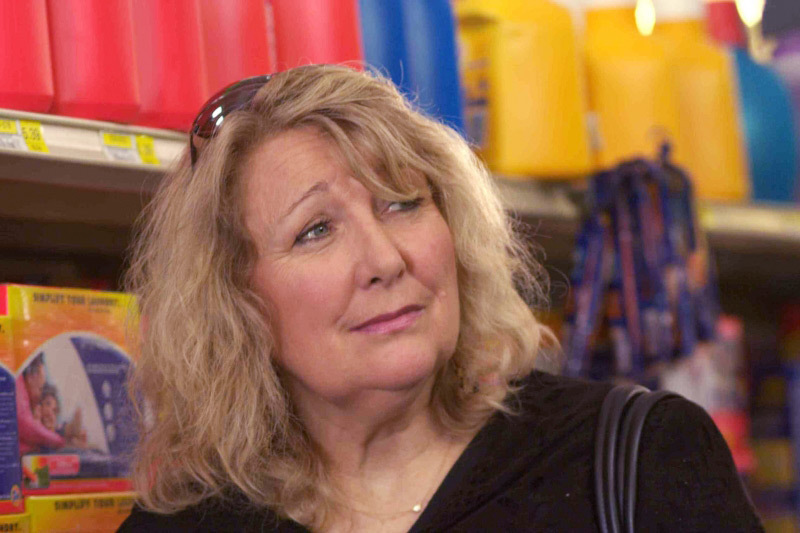 Much of this happens while Roberta is looking at the human Isis, and as such, it probably didn't work because everyone else's attention was on Roberta and they would have seen Isis too. Seven: Can you use the apartment? 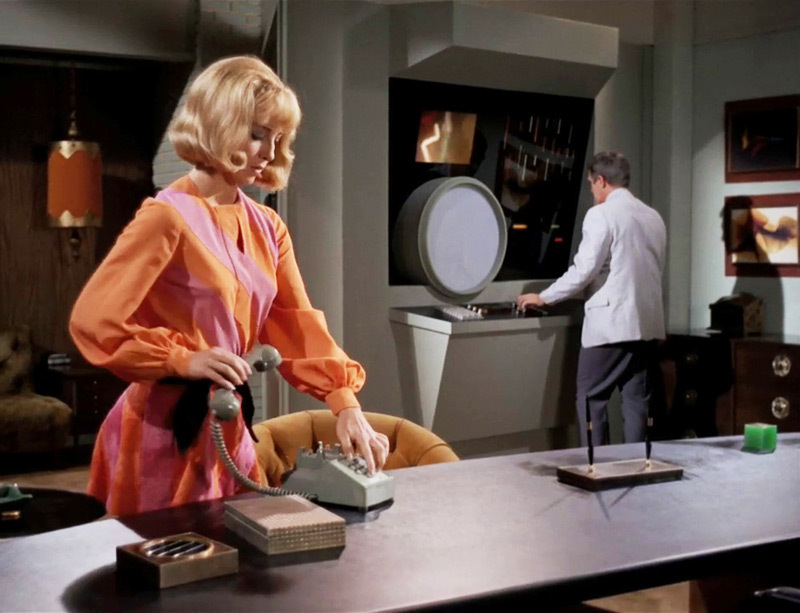 It would be convenient for the new agents to have a secretary nearby. Seven (to Kirk): I expect to be replaced shortly. 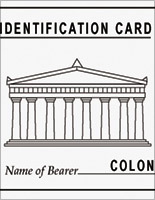 Your record tapes showed other names listed at this address. 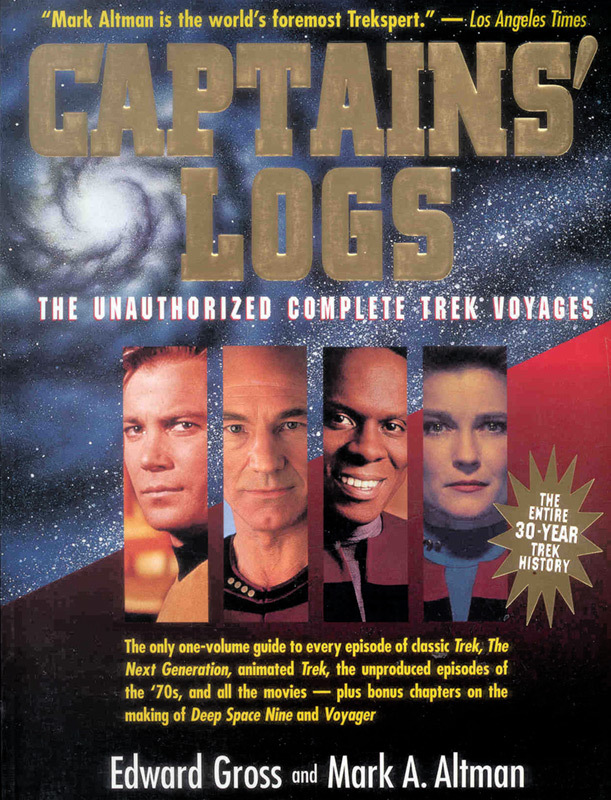 (waits, then frowning) They did, didn't they, Captain? 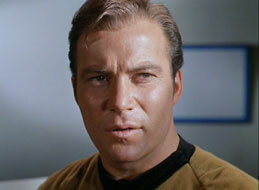 Kirk: I afraid we can't tell you everything we've learned, Mr. Seven. (glancing at Roberta, back at Seven) It might change history if you knew too much. 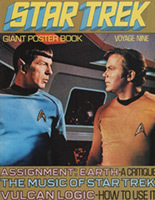 The line Spock says about "interesting experiences in store for Seven and Lincoln" is absent from the script, and was most likely used to replace the longer explanation for a quicker and cleaner wrap up, and perhaps to leave things more open ended for how Æ might eventually be produced. 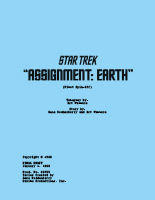 "Assignment: Earth" aired as the last episode of Star Trek's second season. 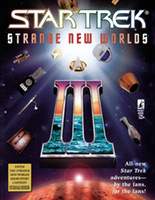 It failed to generate interest, and the series never materialised. Adam Riggio Ï is a writer/philosopher, and he created a series of posts for his blog on his version of an Æ series. Fascinating stuff. 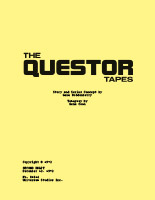 Available as a PDF above. 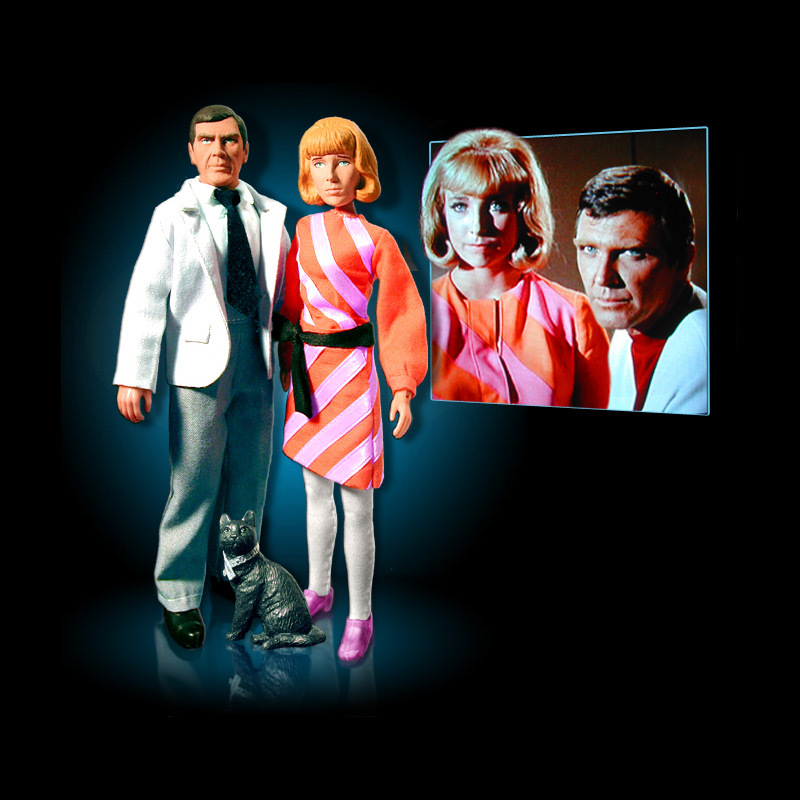 The episode has been released as part of the numerous video series by Paramount/CBS. The remastered version can also be purchased as a download through iTunes Ï and Amazon Ï. 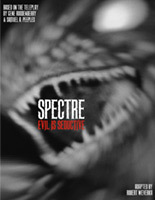 The trailer is below. 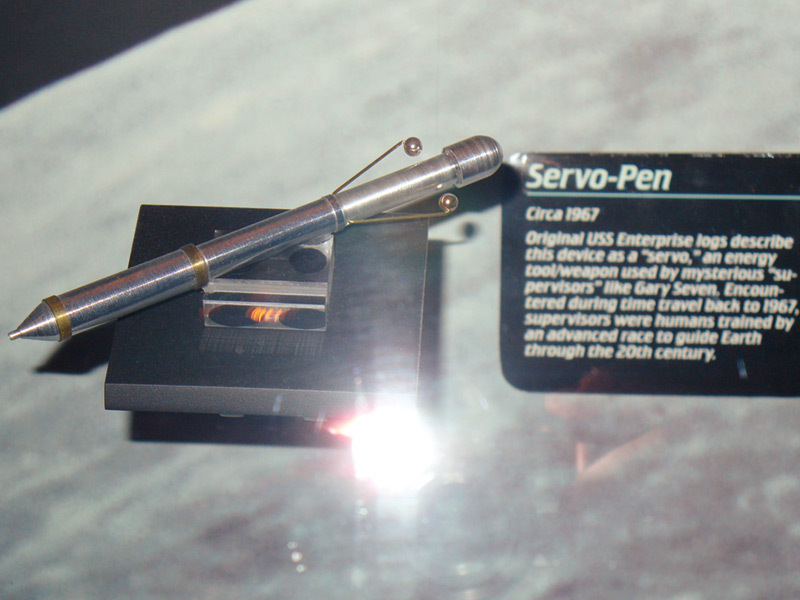 The first servo appears to be the original prop. 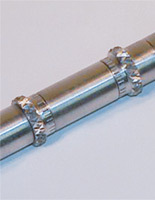 The antennae are curved and the knurled rings are flush with the barrel. 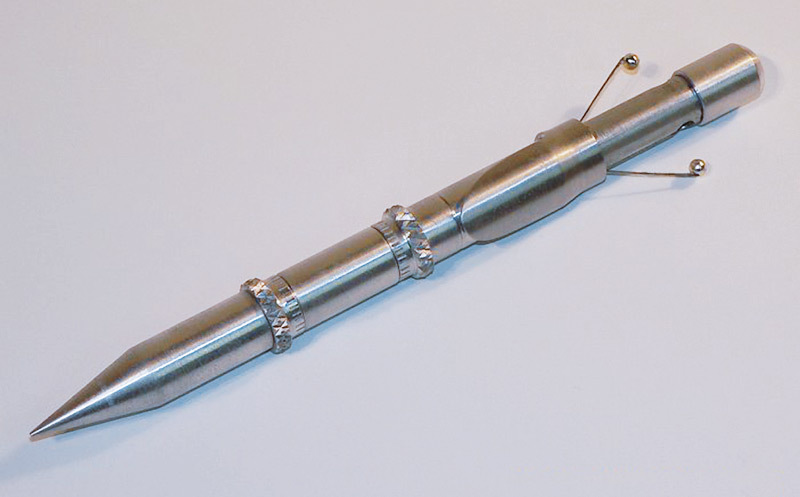 It has a chromed finish. 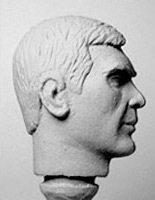 The second is a typical replica made for the collectors' market. 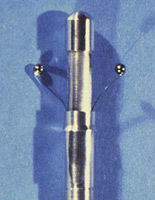 The antennae are straight and the knurled rings are raised. 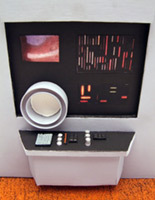 The last is from the Star Trek Experience in Las Vegas, and is a third version of the servo. 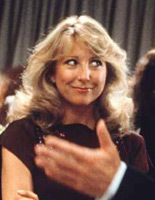 Roberta Lincoln's distinctive dress was a sore spot for actress Teri Garr. The dress' hemline started out being more modest, but the powers-that-be kept that hem rising until it was almost a micro skirt instead of a mini. 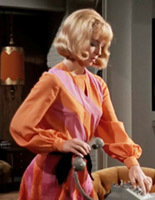 "This dress was important since it was worn by the Roberta Lincoln character, who was intended to be the co-star of a new television series. 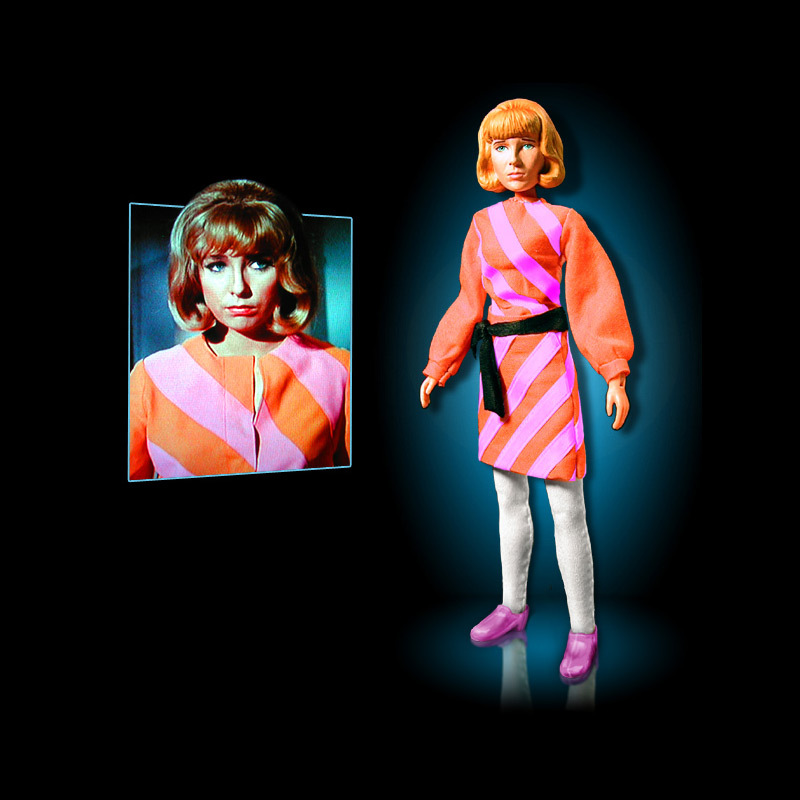 The mid Sixties are reflected visually whenever Roberta appears. 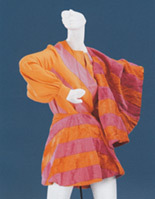 The colours and material [William Ware] Theiss used for this dress, although mildly psychedelic, are really quite mainstream for the time." 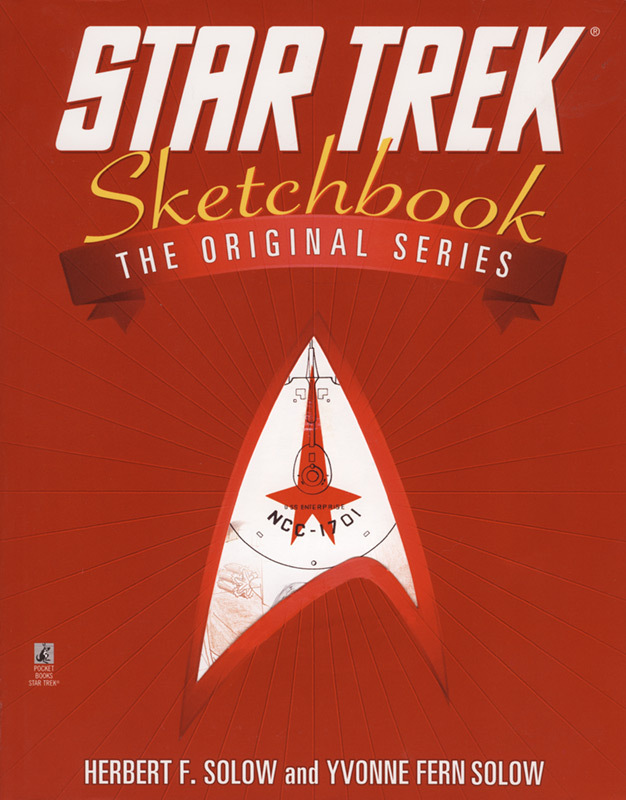 Source: The Star Trek Sketchbook: The Original Series. 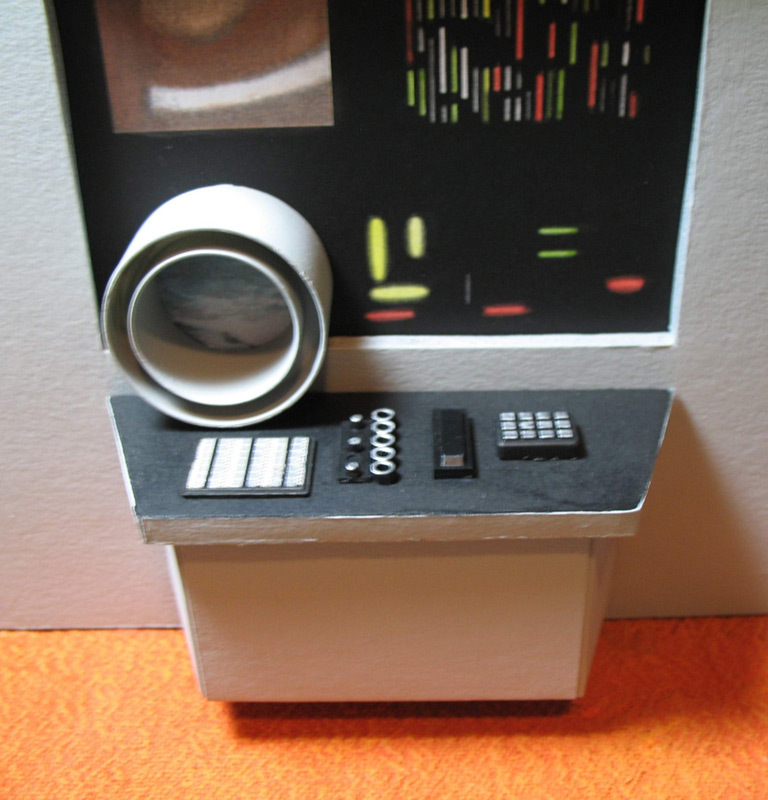 This started out as me wanting to re-create the set plans for the episode and it quickly got out of hand. 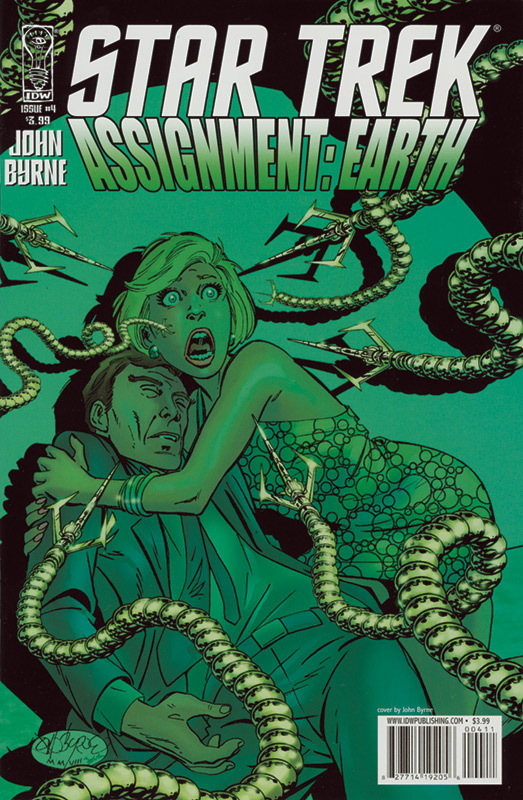 The script called for an attached apartment Roberta would live in, so that was next. And with Seven and Isis remaining on Earth, they'd need more space. 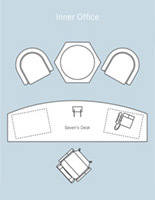 Available as a PDF above, with layer control to focus on different details. 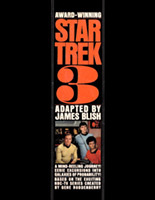 James Blish adapted the episode as one of the stories included in the Star Trek 3 anthology. 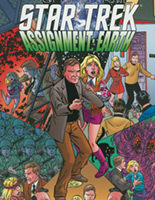 In his version, the Trek characters dominate. 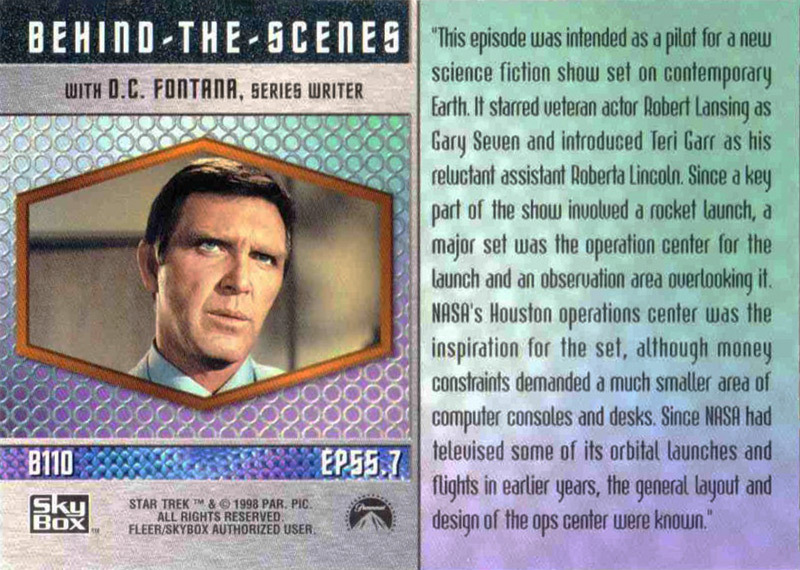 When I came to do mine, I went in the opposite direction, writing the story from Seven, Isis, and Lincoln's point of view, leaving out the Trek crew's scenes which didn't include the Æ characters. Both are available as ebooks above in ePUB (iBooks, etc.) 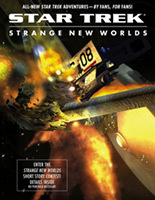 and KF8/MOBI (Kindle) formats. 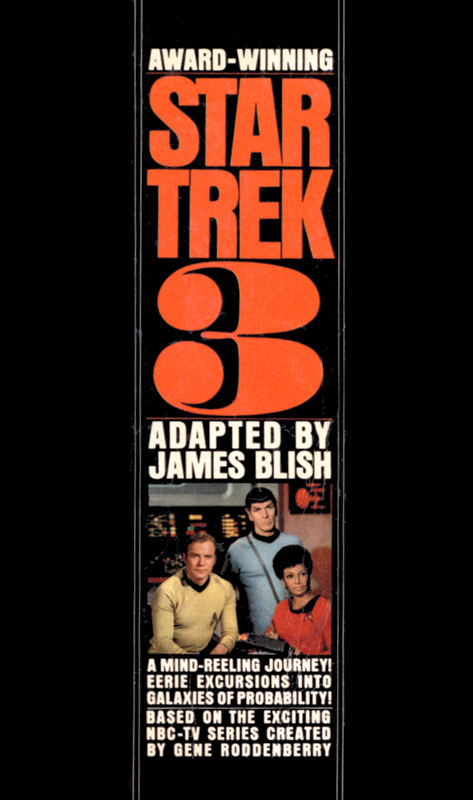 The original series episodes were adapted into short story form by noted science fiction author James Blish (Cities in Flight, etc. 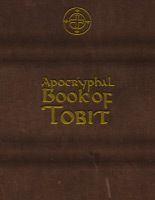 ), with Æ appearing in the third volume. 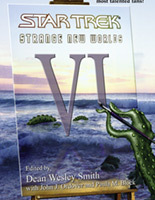 The three novels have been authored by Greg Cox. 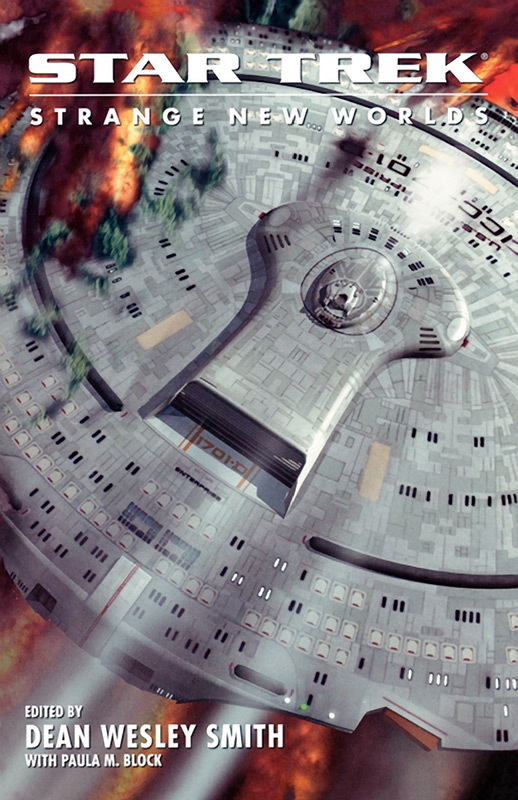 While one might hope for an Æ project that isn't tied to Trek, we'll take what we can get. 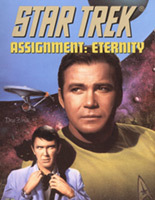 Assignment: Eternity is fun and involved, and we get to see a possible outcome for the team of Seven and Lincoln. 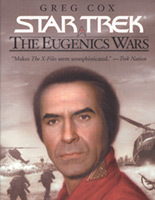 The Eugenics Wars pair open in 1974. 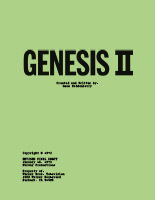 Gary Seven watches with growing concern as the children of a top secret human genetic engineering project called Chrysalis grow to adulthood. 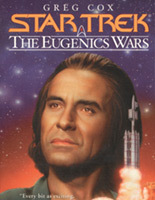 In particular, he focuses on a brilliant youth named Khan Noonien Singh. 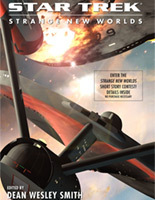 Can Khan's dark destiny be averted, or is Earth doomed to fight a global battle for supremacy? 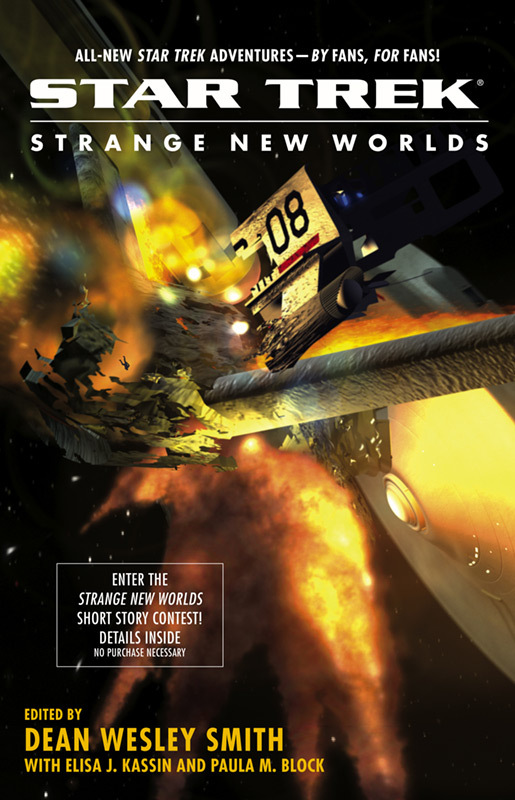 The Strange New Worlds series is an annual collection of fan fiction. 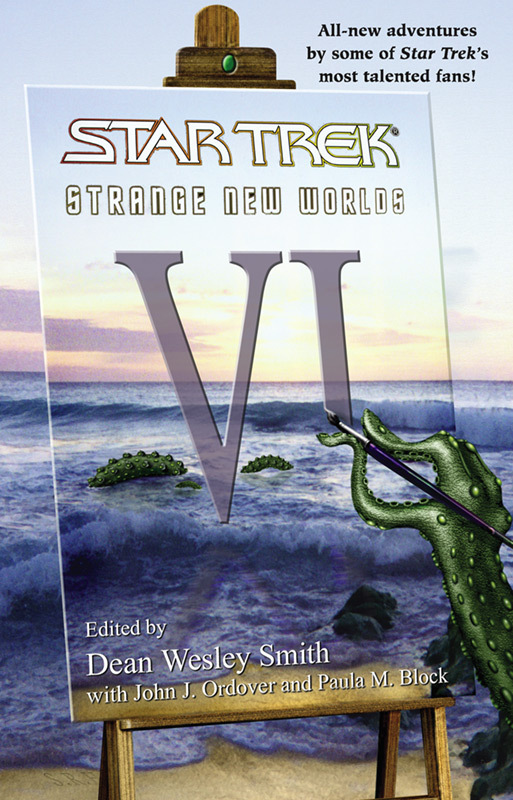 Each of these volumes contains a story with Gary Seven as a major or supporting character. 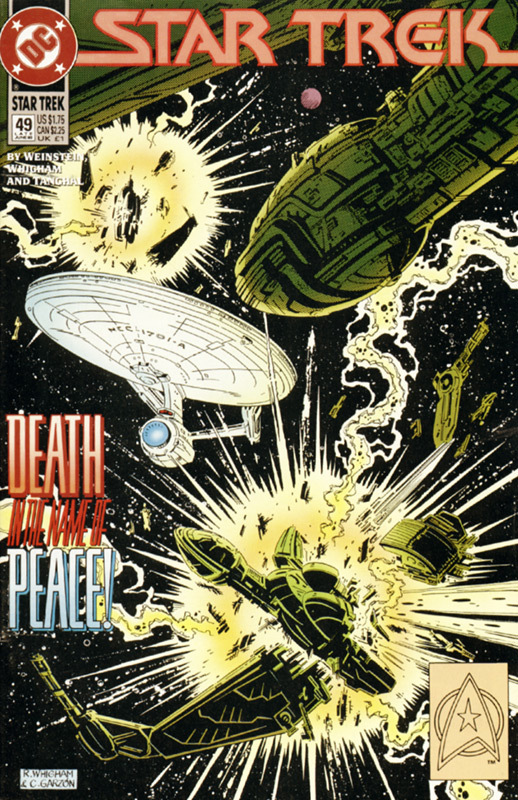 Beginning in the 1980s, DC Comics held the licence to publish Star Trek comic books. Previous publishers included Gold Key and Marvel Comics. 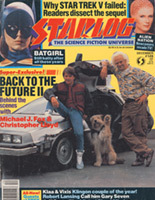 However, DC produced a consistent, high-quality product, and the books remain fan favourites. 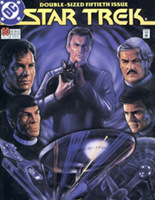 To celebrate the 50th issue of Star Trek, they decided to bring back Gary Seven. An interesting story, it adds some new elements to his tale. 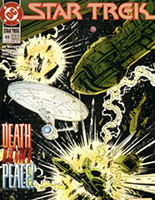 The trade paperback collects Star Trek 22–24 with Harry Mudd, and 49–50 with Gary Seven and Isis. 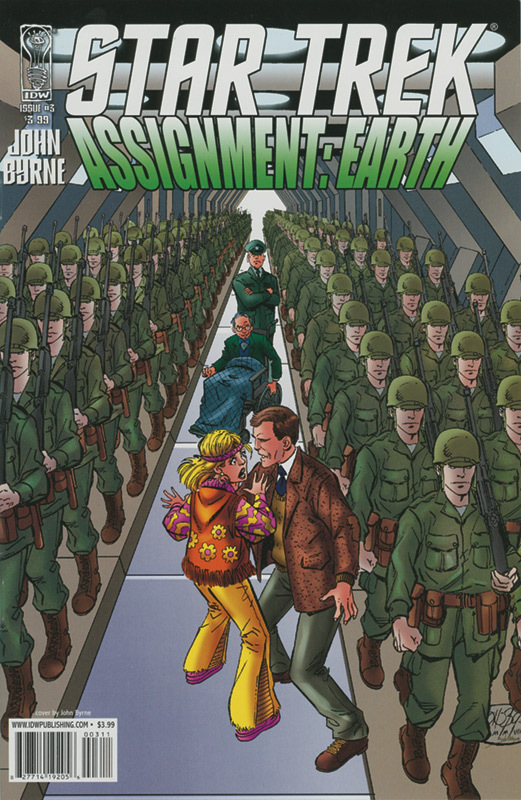 Veteran comic book artist and writer John Byrne Ï produced a five-issue mini series (also collected in trade paperback) which showed his version of what an independent Æ series might have been like. These credits sequences were made by Andy Patterson Ï and friends, and are ideas for a non-Trek opening for Æ. 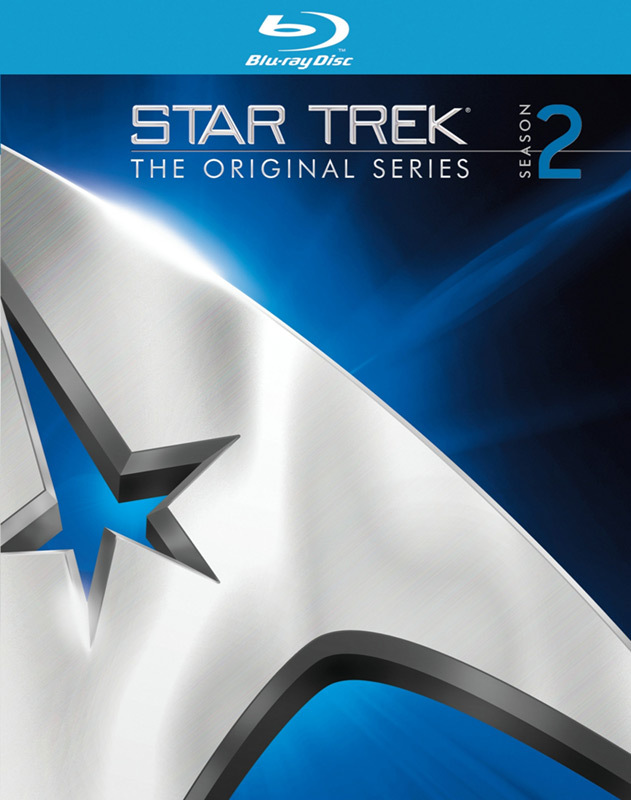 They combine episode footage with new pieces. 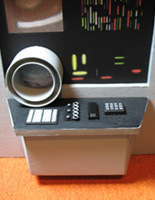 This video – with Roberta Lincoln and the Beta Five desk cube – was made by The Outer Rim Ï (formerly Star Trek Anthology). 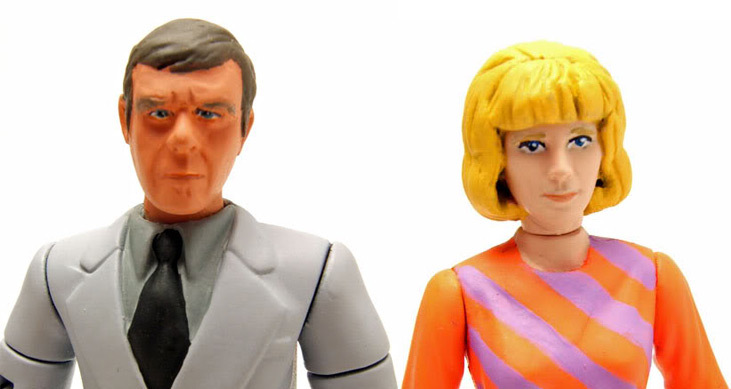 These fantastic custom figures were made by James "Captain Dunsel" Brady and are featured on his Mego Madhouse Ï website. 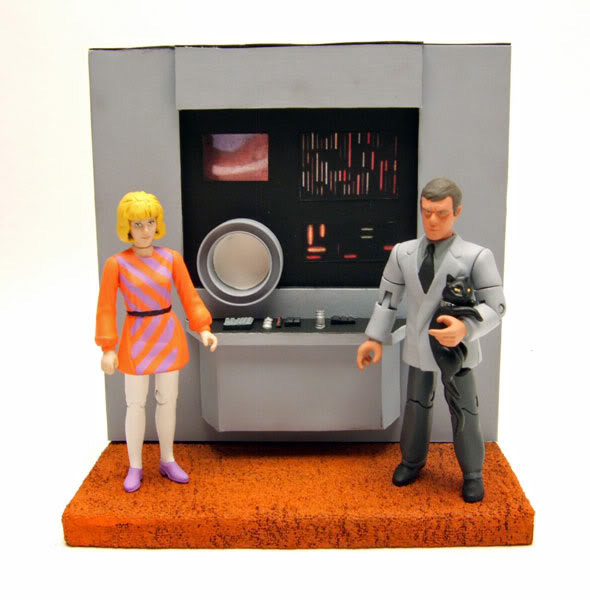 Here's another set of nicely-done custom figures. 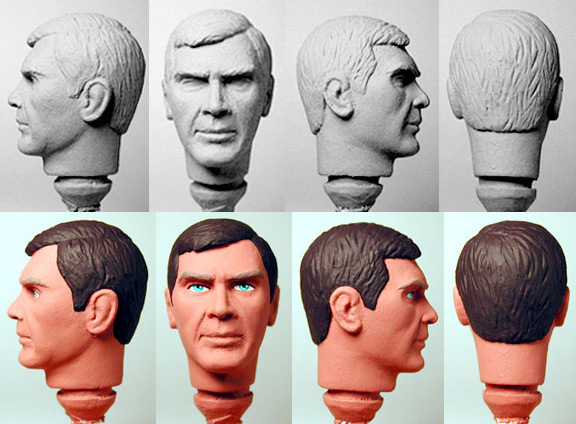 Seven, Lincoln, Isis and the Beta 5 done in the style of the Playmates line by customiser Matthew Hackley Ï. 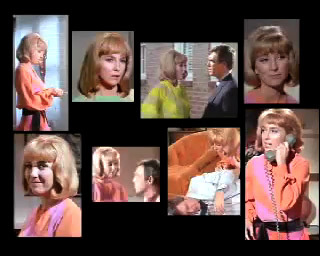 And check out the Sixties orange shag carpet. 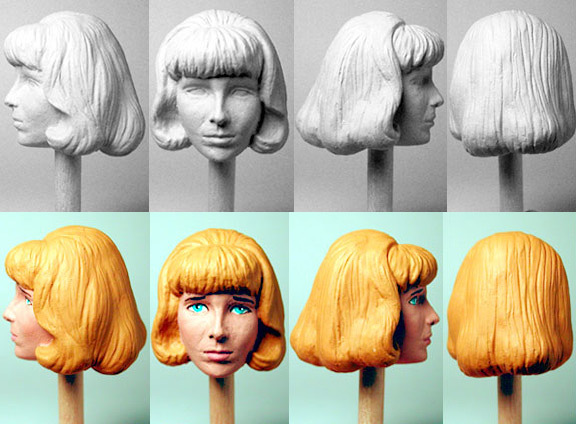 These photos and info come courtesy of James Sawyer's A Piece of the Action Ï blog. CBS commissioned Juan Ortiz Ï to create an original print for each Star Trek episode. 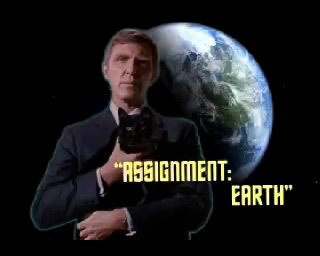 Robert Lansing had already established himself as a stage, movie and television actor in leading roles when Gene Roddenberry asked him to appear in this back-door pilot. 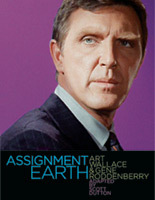 In the interview below, he speaks about his Assignment: Earth experience, and the bio goes into detail on his entire career. 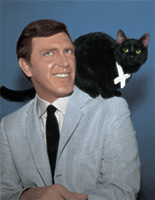 Join the Robert Lansing group on facebook Ï. Lansing also has IMDB Ï and Wikipedia Ï entries. 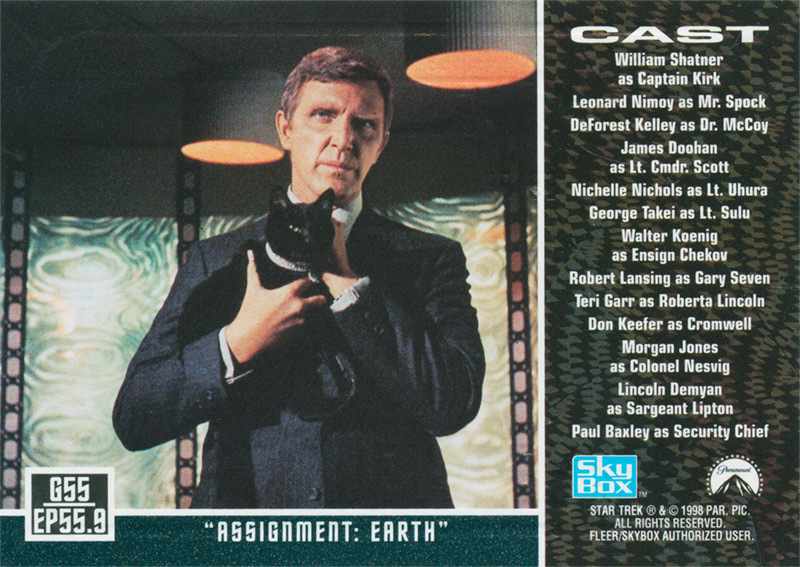 Approached by Gene Roddenberry to guest star as Gary Seven in "Assignment: Earth," Robert Lansing at first refused. 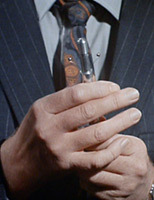 "At the time," he confides, "Gene was a good friend, but I was a New York snob actor, come out to Hollywood. 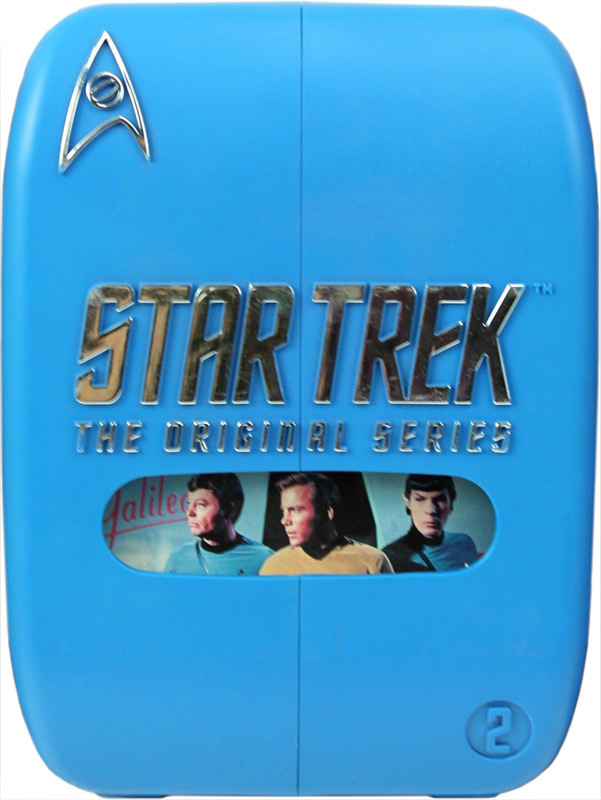 Many folks in my self-perceived position didn't do Star Trek because it was considered a kid's show, or a young show at any rate. 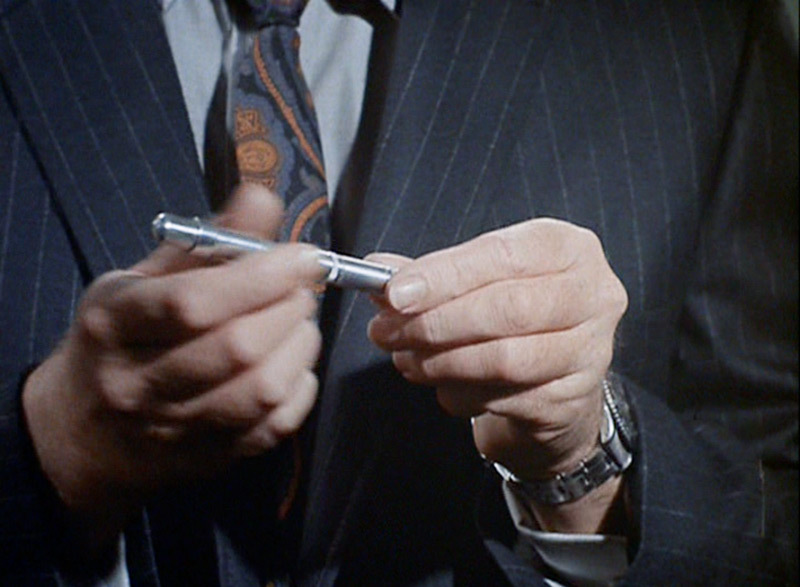 Gene said, 'I'm writing this for you and we can play with it. It might be a series.' He said, 'Well, you don't have to, but just do this one thing for me.' So, I did. 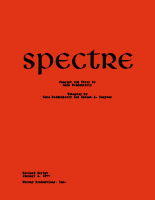 It was a damn good script and a lot of fun. 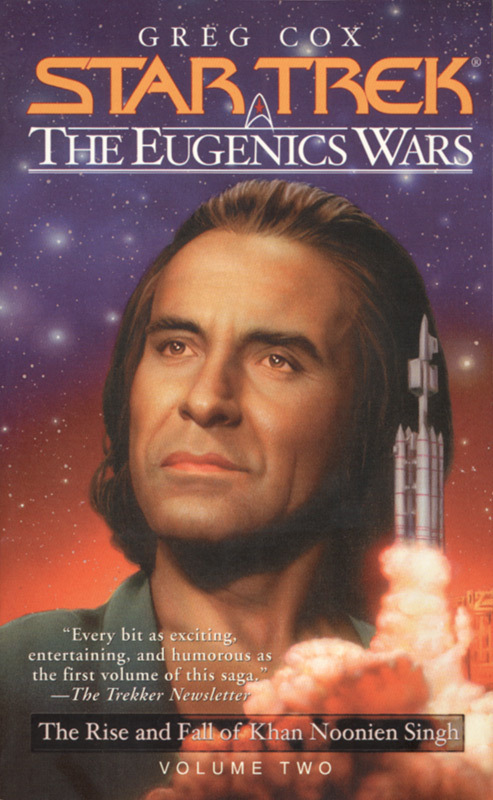 "What Gene had done," Lansing continues, "was to go to futurists and scientists and ask them what advanced societies out in space might do towards more primitive societies like ours. 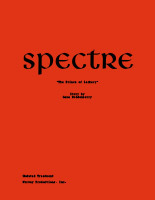 "One of the futurists said that they would probably kidnap children from various planets, take them to their superior civilisation, raise them, teach and enlighten them, and then put them back as adults to lead their worlds in more peaceful ways. 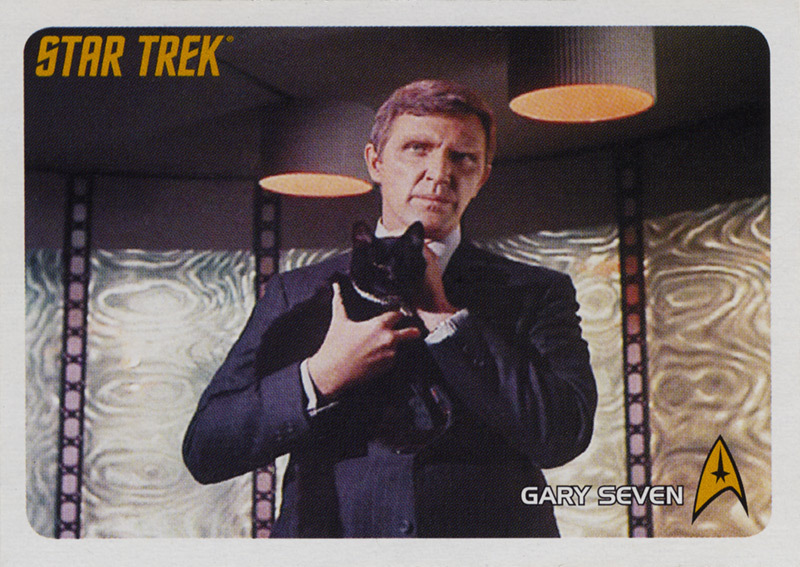 That was the idea behind Gary Seven. 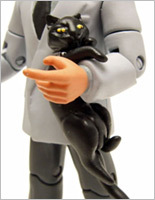 "The fun with that show," he discloses, "was working with the cats." 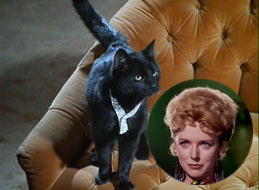 With obvious pleasure, Lansing confesses that whenever he meets fans, he always asks them, "What was the name of my cat?" "We had three black cats. 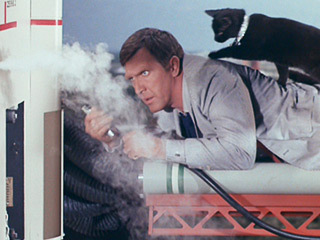 That was because in those days, the theory was that you couldn't train cats. Cats would have a certain propensity: One would like somebody, would want to follow them around, so that day, you would release the cat that would probably do what you wanted it to do. One of the cats took a great liking to me. 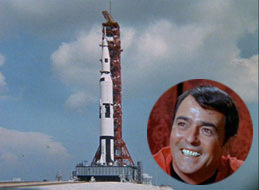 It was always loose on the set when I was working, so it happened that the stuff on the rocket gantry was all ad lib. I would say something like, 'Isis, come on, you're getting in the way. You know, there is a bit of a hurry. This is not the time to be jealous.' 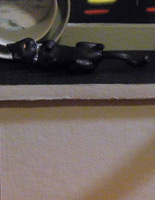 We added meows in later." Not a practical joker himself, Lansing confirms that the Star Trek set was still full of fun and pranks. 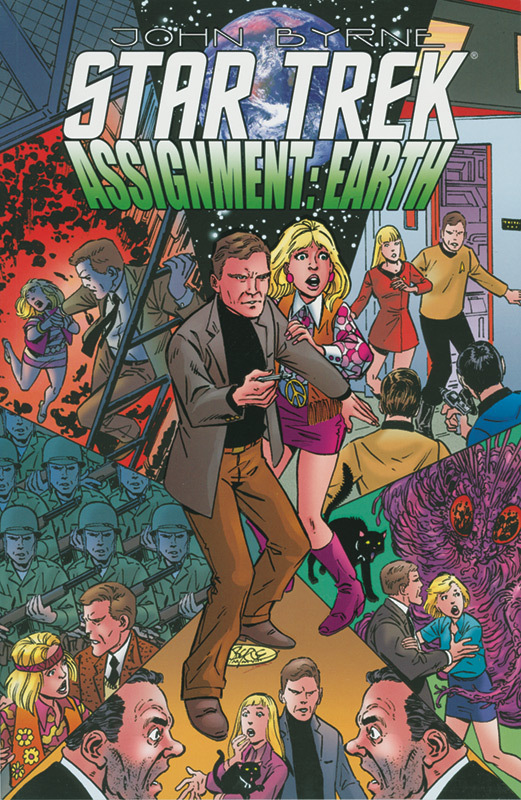 "William Shatner and I would get mixed up and start 'camping' a scene," he remembers. 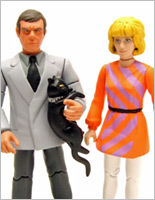 "We did plenty of outtakes." 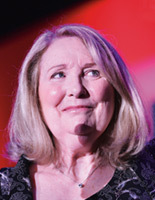 Of his fellow guest, Teri Garr, Lansing recalls, "She hadn't had much experience then, but she had this kooky personality that certainly worked. 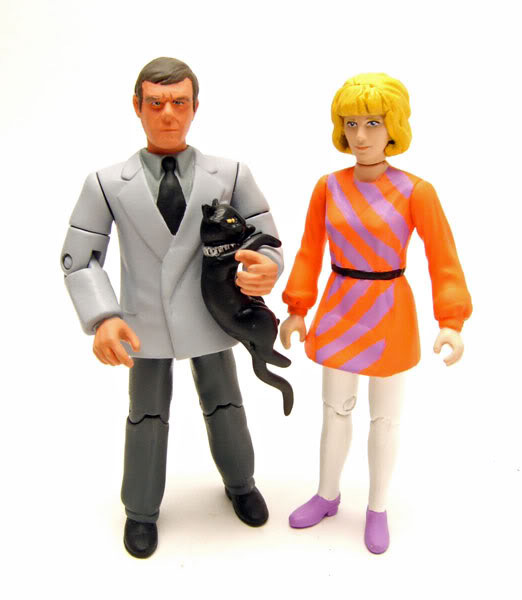 Gene saw that very early on and dressed her for it and worked her with it. 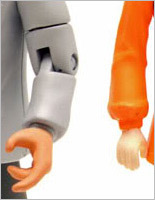 "She had a terrible time with this bit where she had to hit me with a box and knock me out. It was a small box and it was padded, just a box. 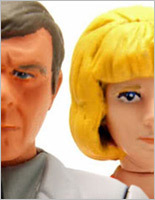 She was so nervous that finally I said, 'Teri, hit me.' And she gave me such a clobber that she nearly did knock me out. Gene said it didn't look right and we had to do it again. 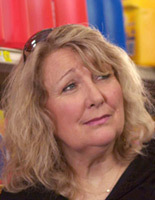 "I was never asked to do another episode. 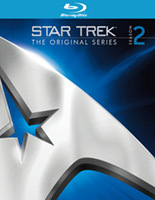 That was my Star Trek swan song. "It turned out, though, that I'm better remembered for Star Trek than any of the Broadway plays I've done," he says with a bemused smile. 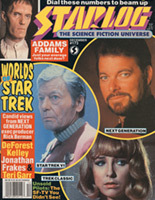 Source: Starlog 149. The full interview can be read by clicking on the thumbnail above. 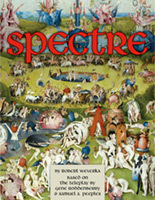 The following biography was written by Jeanne DeVore Ï, who was kind enough to grant me permission to reprint it here. 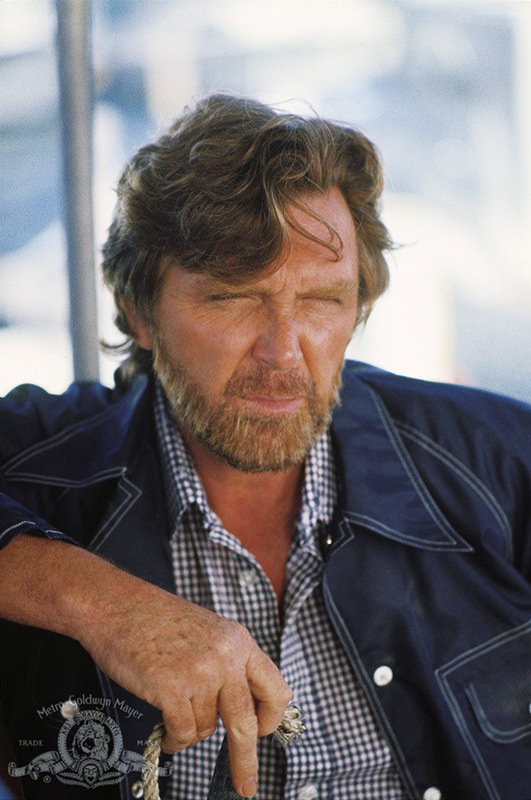 It was written as a tribute and to help raise money for cancer research Ï.
Robert Lansing was born Robert Howell Brown on June 5, 1928, in San Diego, California, and died October 23rd, 1994 in New York of the cancer he had been suffering from for some time. 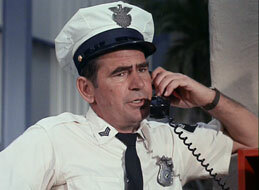 His career spanned more than a generation, in film, on stage, and on television. 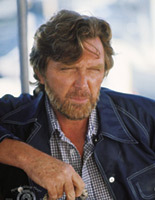 Born at the dawn of the Great Depression, Robert Lansing's early years were spent traveling around the country with his salesman father. When he was nine, he snuck under a loose flap into a visiting tent show in Texas and fell in love with the make-believe world of the theatre. 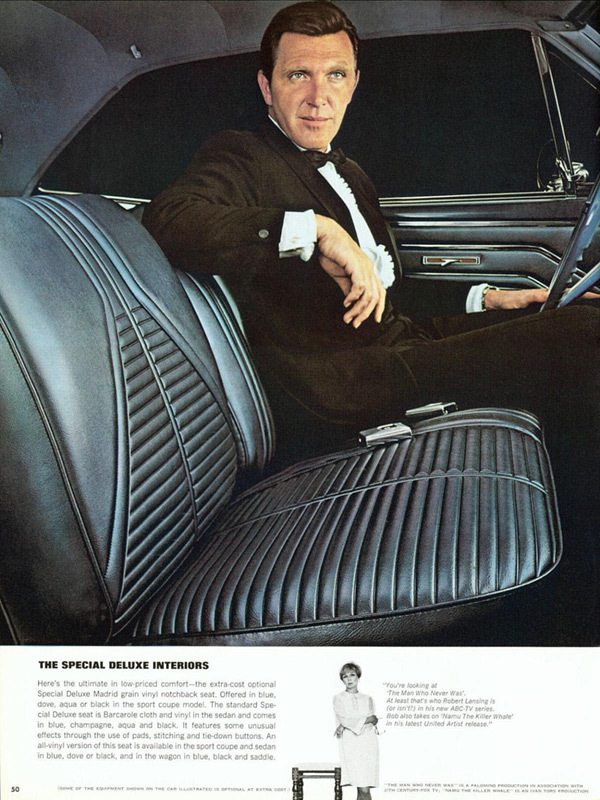 Determined to become an actor, he volunteered for his grammar-school play, and immediately began driving himself with total commitment. Back in California a few years later, he kept polishing the dream, appearing in every amateur theatrical he could. He dropped out of high school to enlist in the army, served his two years, and started hitchhiking from Los Angeles to Broadway. 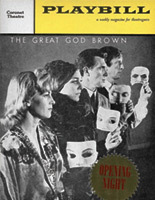 Stopping in Fort Wayne, Indiana to visit an aunt, he became an actor with a local civic theatre group, a radio announcer, and a teen-age husband. Two years later, the Lansings took off for New York. 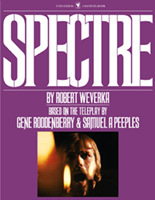 Using his GI Bill benefits, Robert enrolled at the American Theatre Wing's dramatic school. 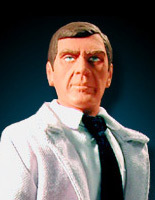 These were lean years, as he struggled to make a living. 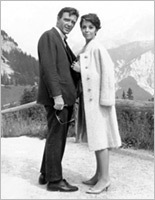 He and his first wife divorced, and he married actress Emily McLaughlin (best known as nurse Jessie Brewer in General Hospital). Soon after, their fortunes changed. 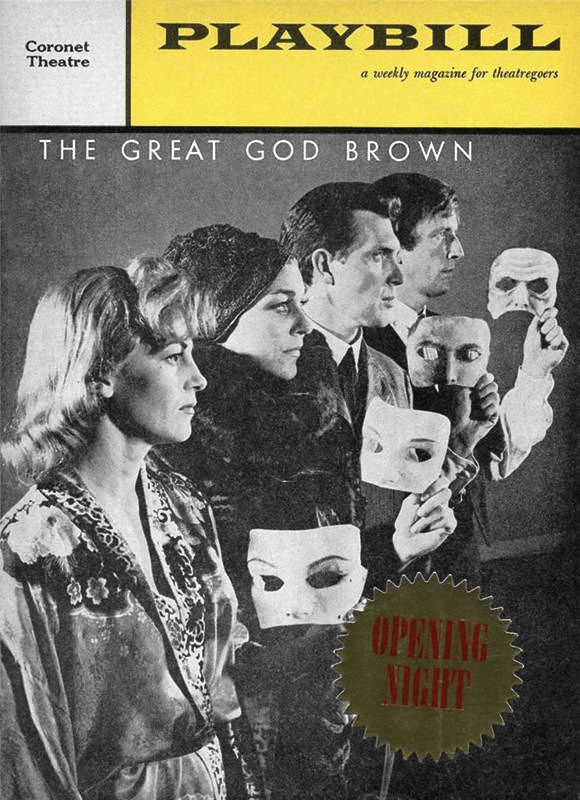 Cast as the psychiatrist in Tennessee Williams' Suddenly Last Summer, Robert Lansing was named one of that season's two best off-Broadway actors (the other was George C. Scott). 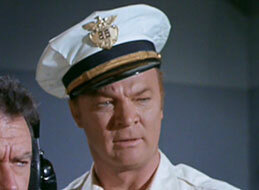 That success led to his first Hollywood TV part in Alcoa Presents. 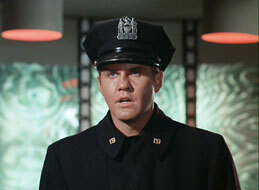 His first Broadway role was in 1948 in Stalag 17, and his first feature film was 1959's The 4-D Man. 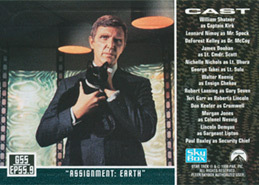 His career encompassed all genres, though he was well-known to science fiction fans through his appearances in cult films like Empire of the Ants, and his appearance as Gary Seven in the Star Trek episode "Assignment: Earth." Lansing's television work won him critical acclaim, if not financial success. 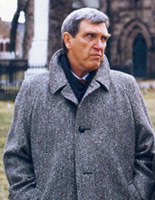 Of his role as Detective Steve Carella in the series 87th Precinct (based on the books), author Ed McBain was reported as saying, "He is Carella." 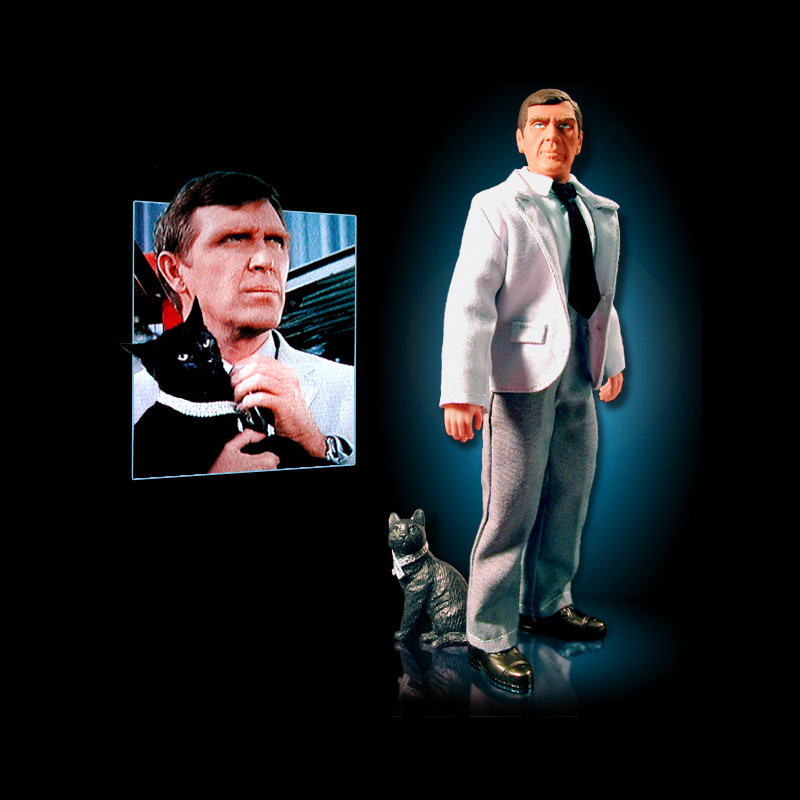 And his replacement as the lead in the series 12 O'Clock High caused a great deal of furor. 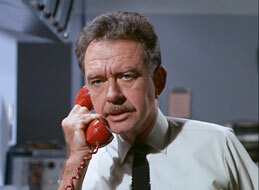 TV Guide critic Cleveland Amory, who liked to refer to himself as a curmudgeon, wrote, "Make no mistake about it. 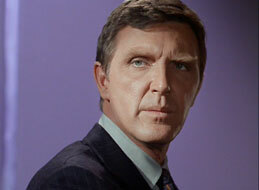 Robert Lansing is magnificent." 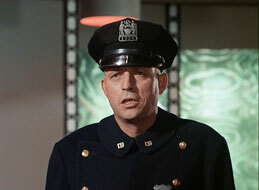 Robert Lansing's final television role was that of Police Captain Paul Blaisdell, on the series Kung Fu: The Legend Continues. 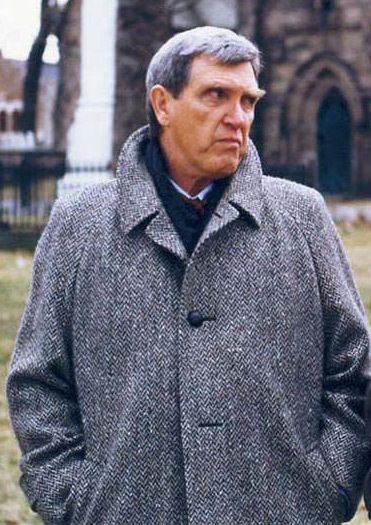 Executive Producer Michael Sloan, who had been friends with Lansing since both men worked together on Sloan's series The Equalizer in the 80s, wrote the part expressly for Lansing, who had already been diagnosed with the cancer which would eventually kill him. 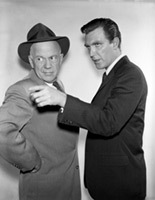 Despite failing health, Lansing appeared in almost two dozen episodes during the series' first two seasons. But eventually, the strain became too much. 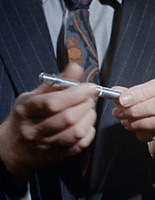 The final episode of the second season "wrote out" the character of Blaisdell, though left the door open for his return, should Lansing's health rally. 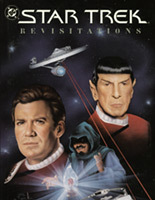 As it was, the episode "Retribution," filmed in February of 1994, was Lansing's final appearance. 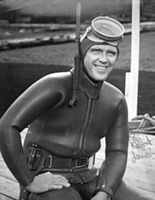 It aired a month after Lansing's death and was dedicated to his memory. 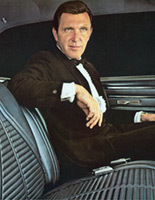 Robert Lansing was survived by his wife, Anne, and two children from previous marriages: Robert Frederick Orin Lansing and Alyiki Lansing West. 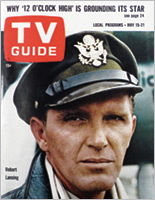 Biographical information source: "The General Died at Dusk," Jerry D Lewis, TV Guide, May 15, 1965. The full interview can be read by clicking on the thumbnail above. 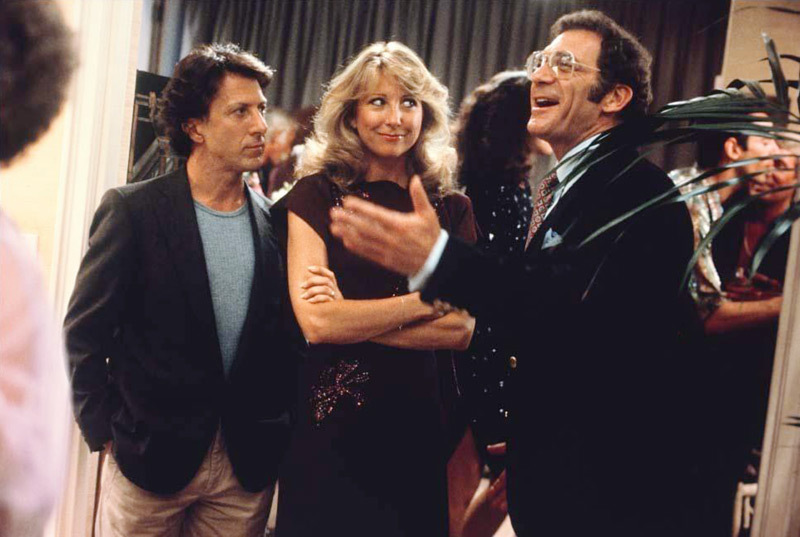 Teri Garr started off as a dancer, but it was this early acting appearance as Roberta Lincoln that set her on her future path. 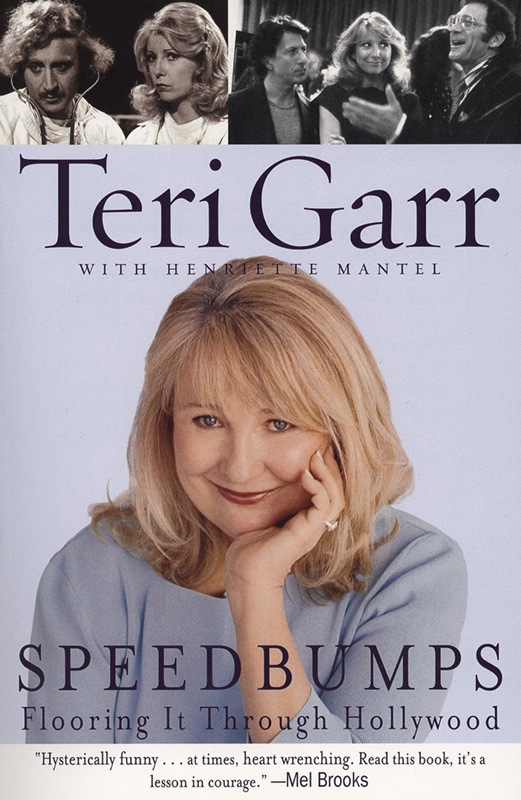 After Assignment: Earth, Teri Garr went on to become a star. 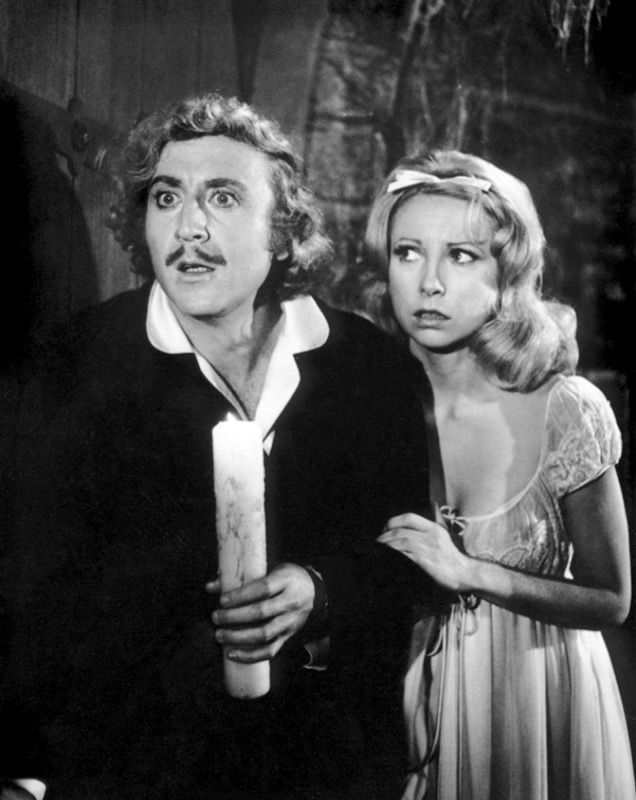 Her films include Young Frankenstein, Close Encounters of the Third Kind and Tootsie. 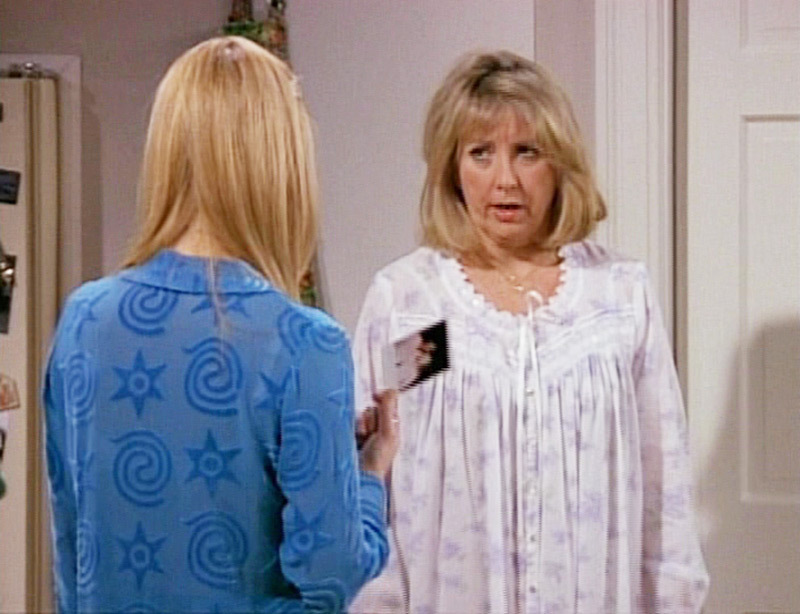 She also played Phoebe's mom on Friends. 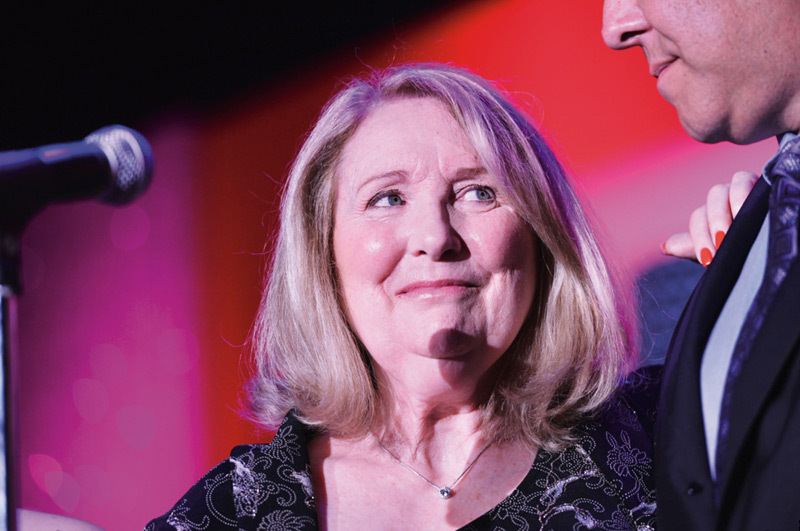 In 2002, she went public with her battle with multiple sclerosis. Garr's IMDB Ï and Wikipedia Ï entries. 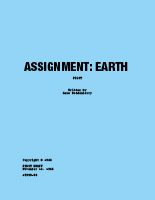 Teri Garr appeared in "Assignment: Earth". However, Garr responds, "I have nothing to say about it. I did that years ago and I mostly denied I ever did it." 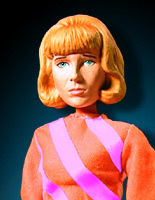 She does admit that she would have been in the TV series that the episode was a pilot for, but it didn't sell. "Thank god," she says with genuine relief. 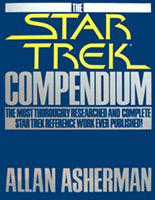 "Otherwise, all I would get would be Star Trek questions for the rest of my natural life – and probably my unnatural life. 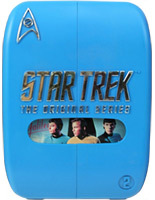 You ever see those people who are Star Trek fans? The same people who go to swap meets." 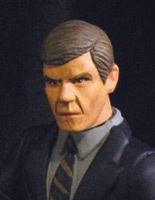 How about Marc Daniels, who directed that episode? "He's dead. 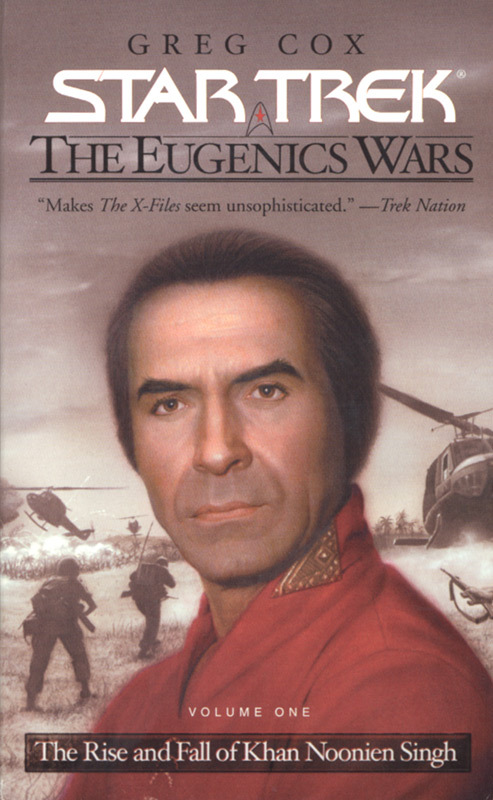 I liked Gene Roddenberry, but I don't remember those people. 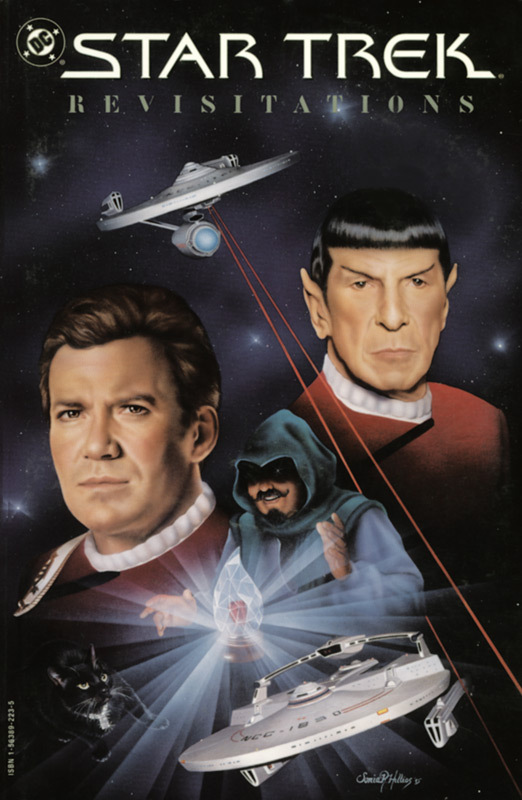 I really don't want to talk about Star Trek. That's what I told them about this interview. 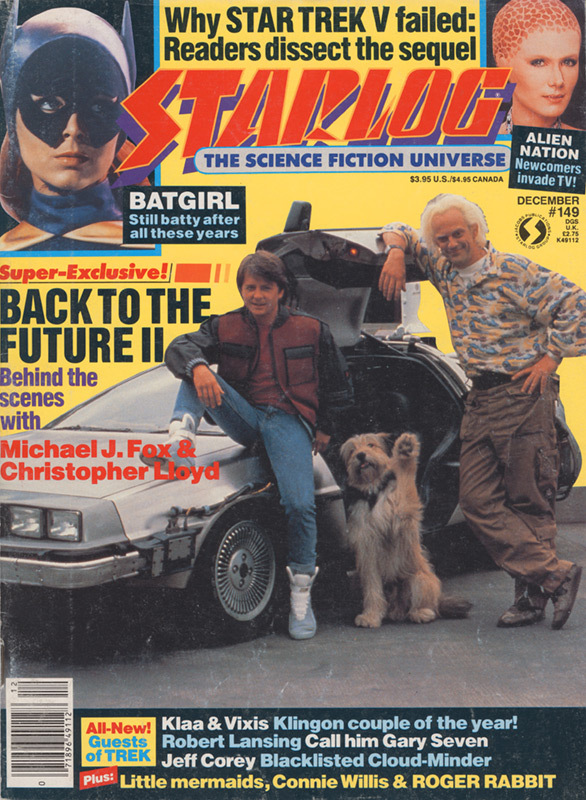 If it's a science fiction magazine, they're going to ask me about this stuff I don't—" She breaks off abruptly. So much for that line of inquiry. Luckily my friend from acting class had an in and helped me get through the door. I never thought I would get the part because I was still really just a dancer.… I had no real credibility as an actress.… Then I read the script and saw that in the first scene my character was flustered because she was late. I thought: Well, I'm always late. I can do late. After I did the reading they asked me to come in for a screen test. 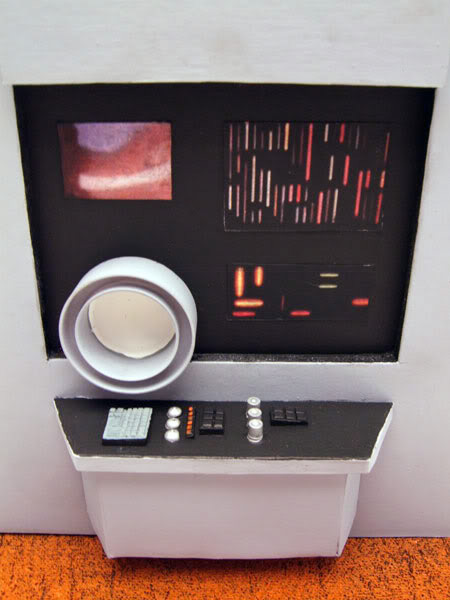 I'd never had a screen test before! 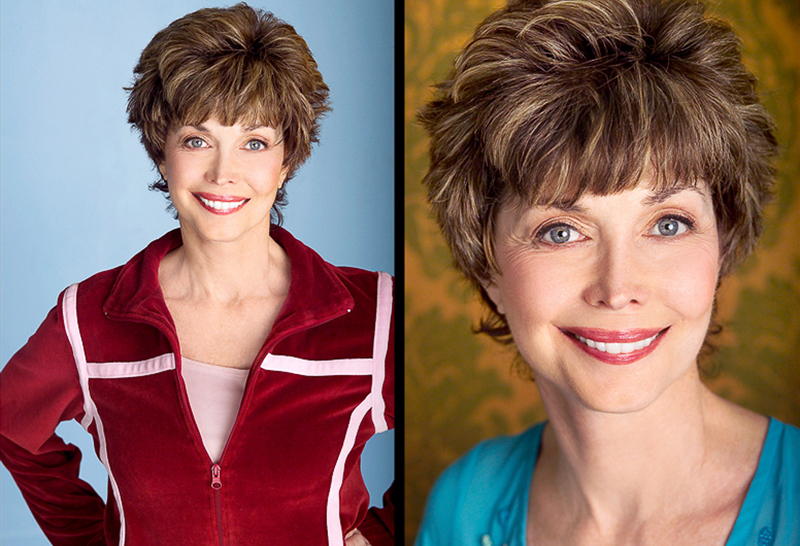 They cut my hair short and put me in front of a camera. They had me turn in a circle very slowly. Then they asked me easy questions.… I was overjoyed to be having a screen test. 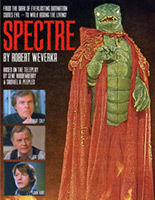 I didn't dare hope I'd get any further, but the next thing I knew, they were calling me to appear on set. I was dizzy with joy – and that dizziness helped me get into character. 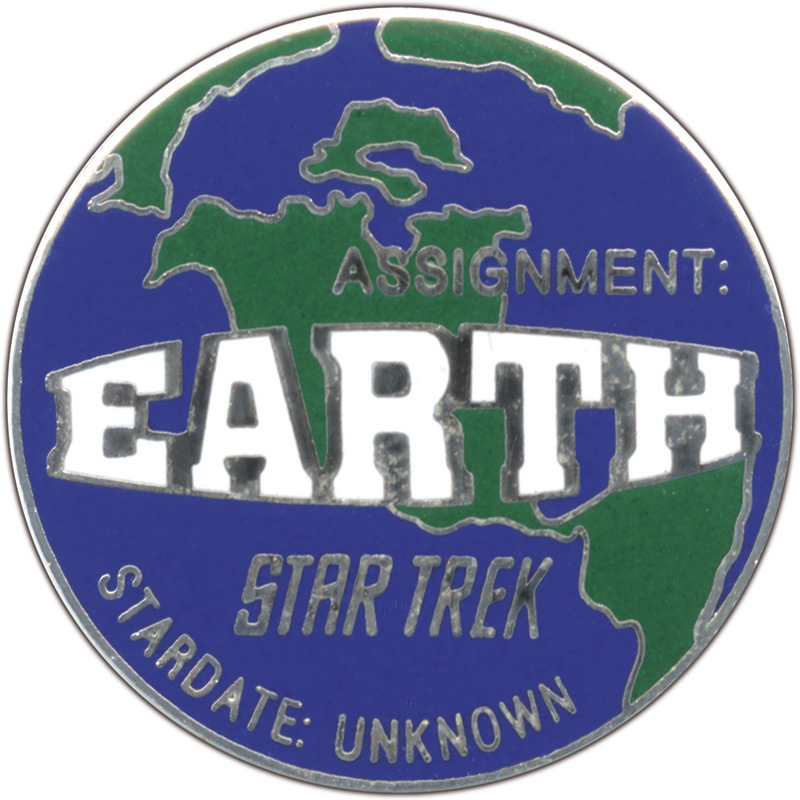 …Had the spin-off succeeded, I would have continued on as an earthling agent, working to preserve humanity.… But it was not to be. 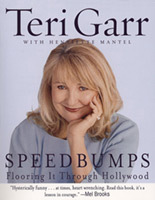 Source: Speedbumps: Flooring It Through Hollywood. 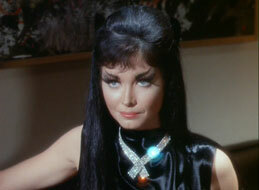 A number of Trek-related sites – including this one – previously identified Victoria Vetri as the human version of Isis. Turns out we were mistaken. 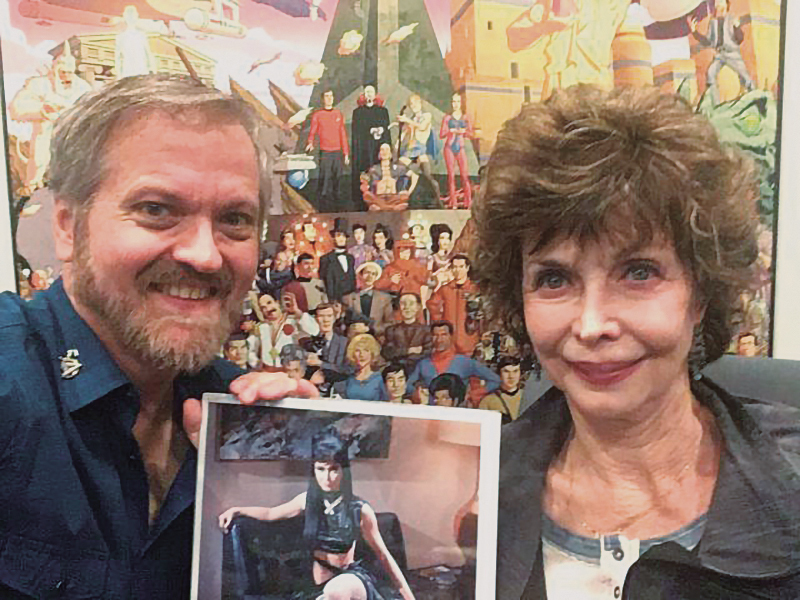 Thanks to the folks at trekmovie.com Ï, we now know that contortionist/actress April Tatro played Isis. 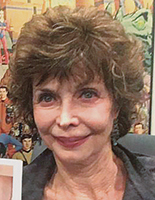 In addition to her role on Trek, Tatro appeared in Laugh-In, Wonder Woman, Big Top Pee Wee, as well as other films and TV shows. 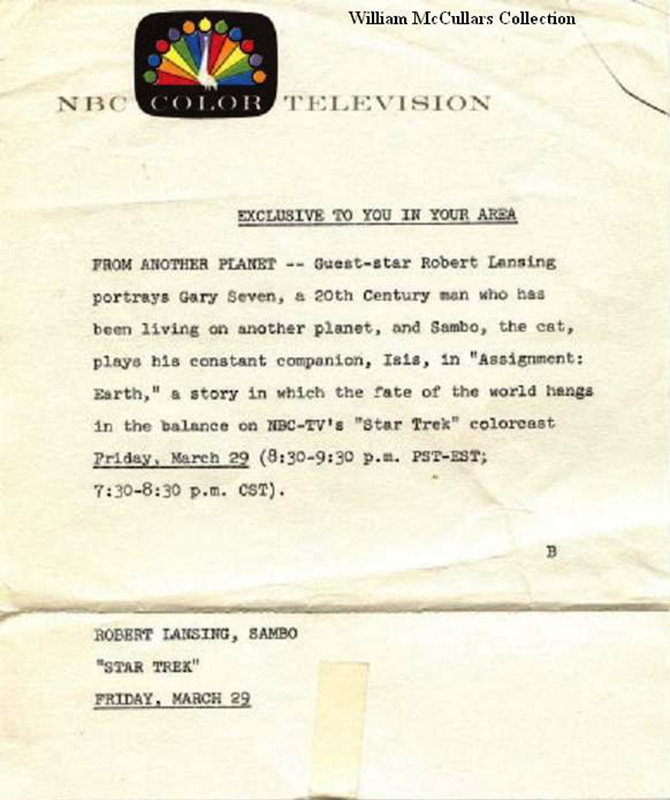 Courtesy of collector William McCullars Ï, an NBC press release dating from the original broadcast names Sambo as the cat who played Isis. 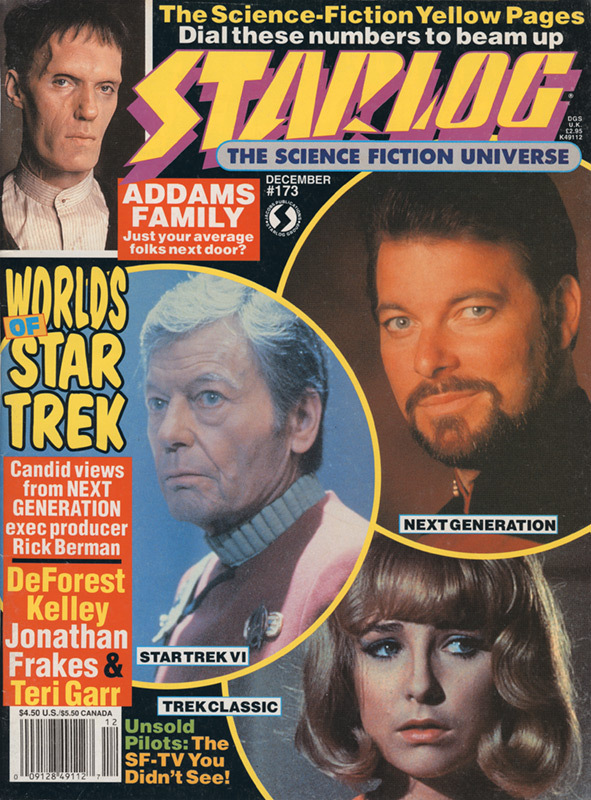 Source: Starlog 149. 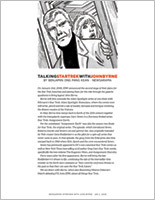 The full interview can be read by clicking on the thumbnail in the Robert Lansing section. I think it's safe to say that it was Sambo he developed the working relationship with. 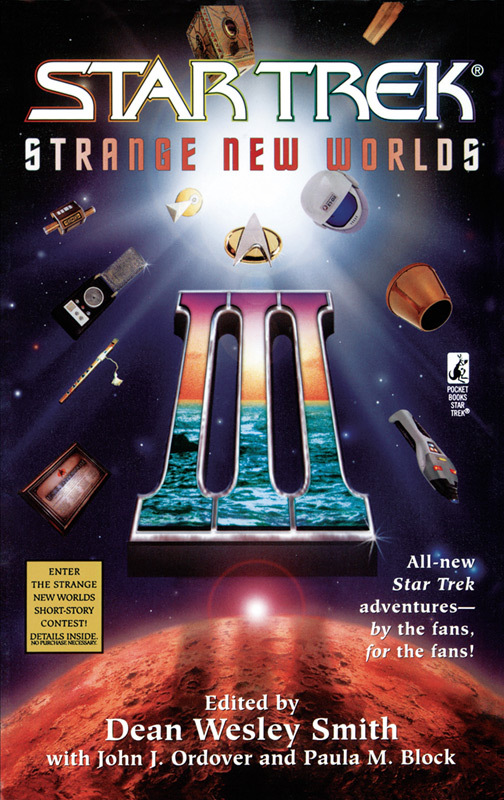 In between the original Star Trek series and Star Trek Phase II (which would become Star Trek - The Motion Picture in 1979), Roddenberry tried to sell three concepts as ongoing series: Genesis II/Planet Earth, The Questor Tapes and Spectre. All three had their merits. 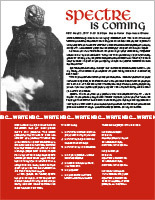 Sources: Some materials courtesy of John Fraraccio and Frank Stone. 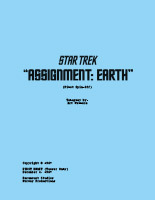 Assignment: Earth, Star Trek and all prominent characters are © & ® CBS Studios Inc. Ï All Rights Reserved. Beta Five source render © Geoffrey Edwards Ï. 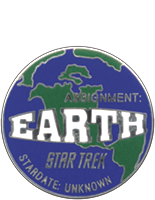 Design and original material © Scott Dutton Ï, who is in no way affiliated with CBS Studios Inc., but would consider any offers.